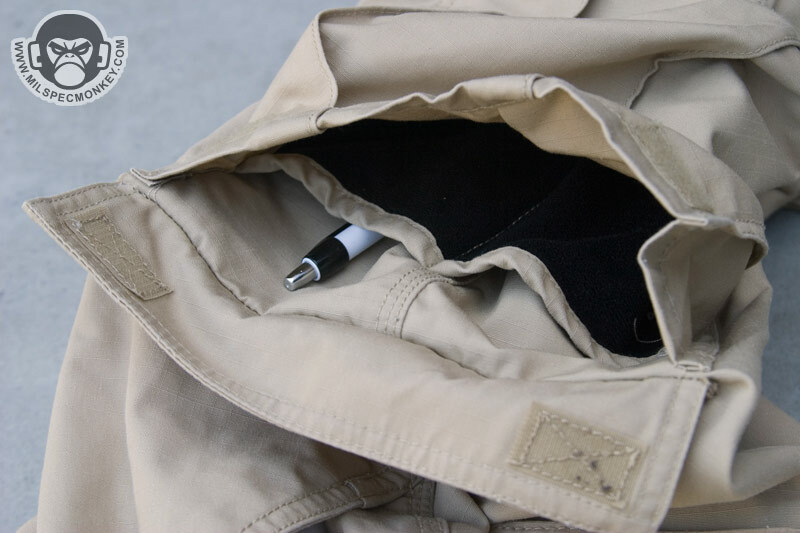 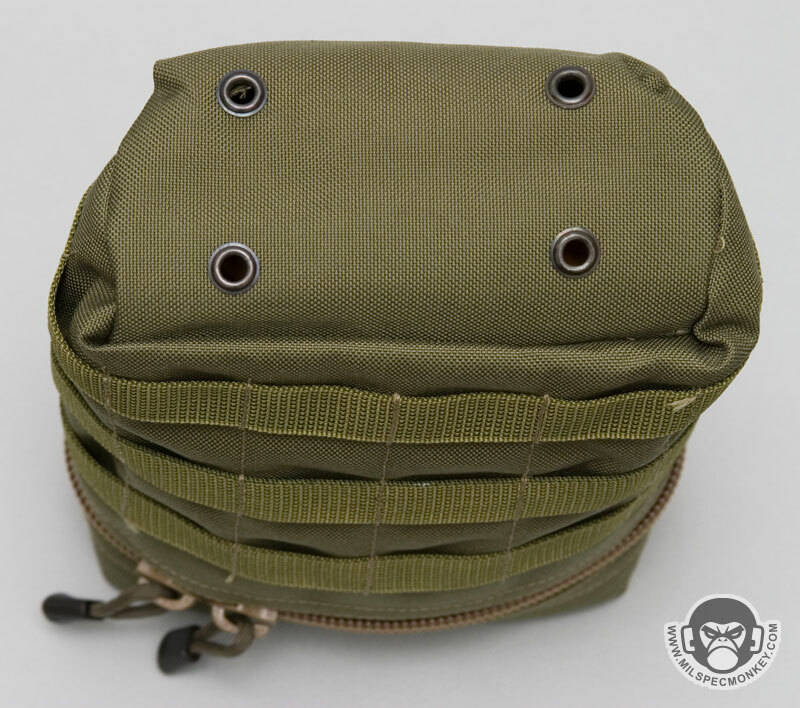 SMALL: 6" x 4" x 1.5"
MEDIUM: 7" x 6" x 1.5"
LARGE: 8.5" x 6.5" x 1.5"
These snazzy "TacTile" Pockets are very useful at adding that extra pocket you always wanted on other gear. 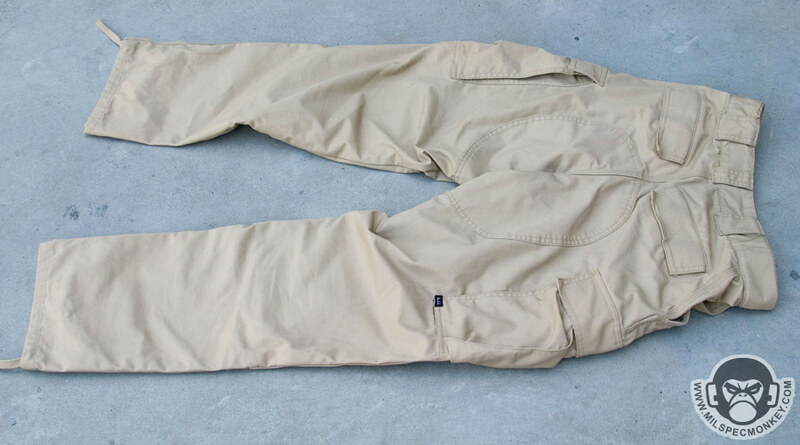 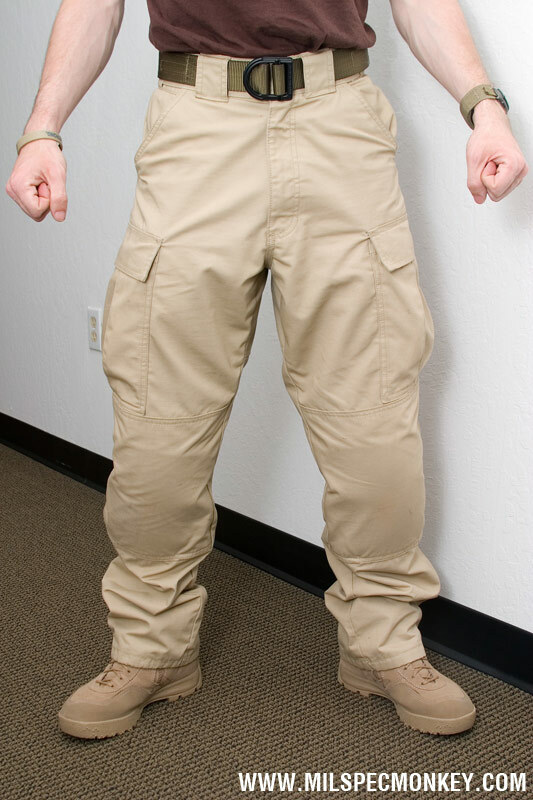 Although 3 sizes are available, they all have core standard features. 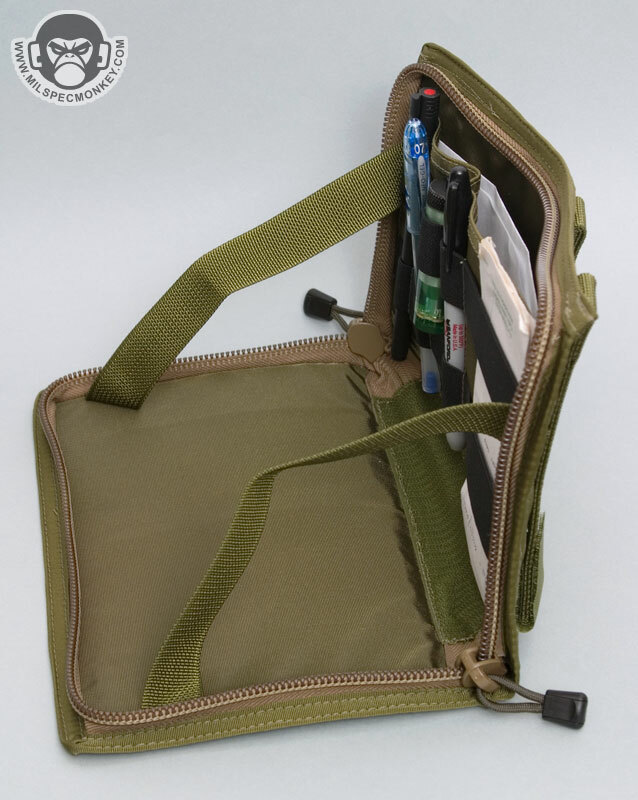 DIM: 10.5" x 6.25" x 1"
A more unique item, it works great for having quick access to documents and other admin goods. 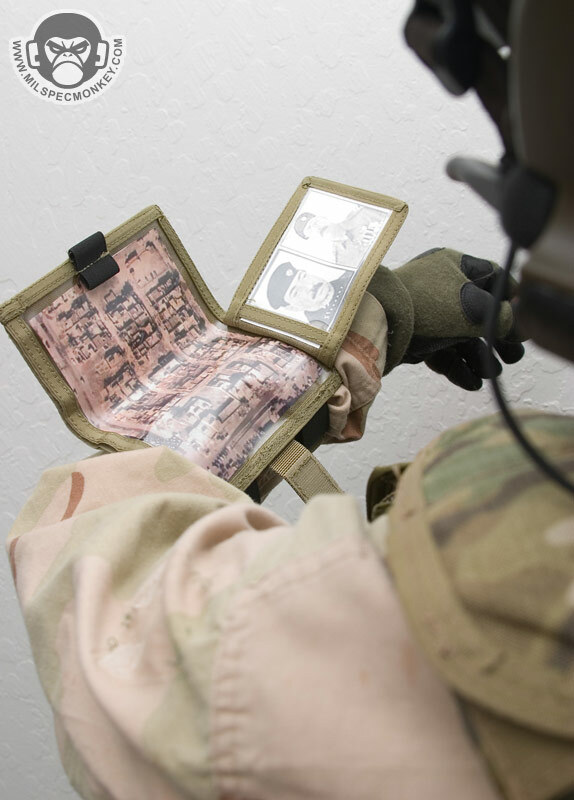 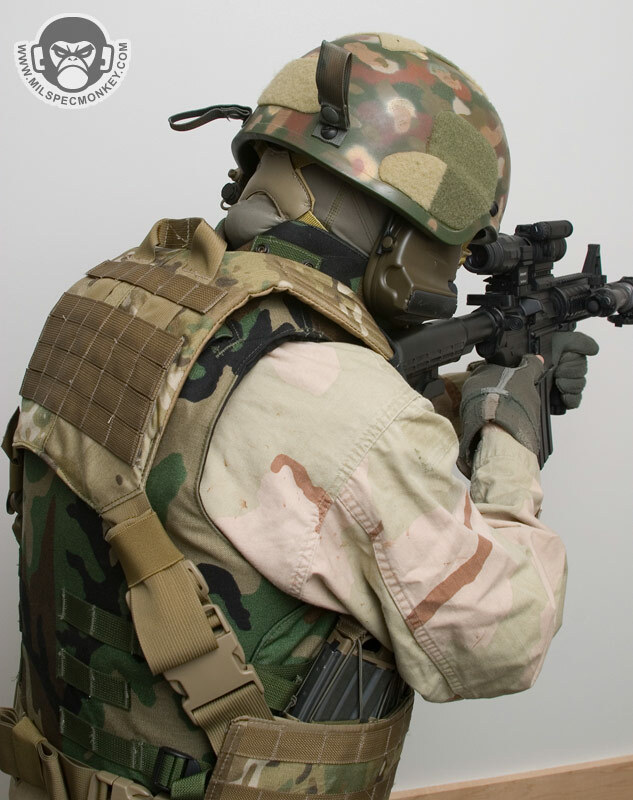 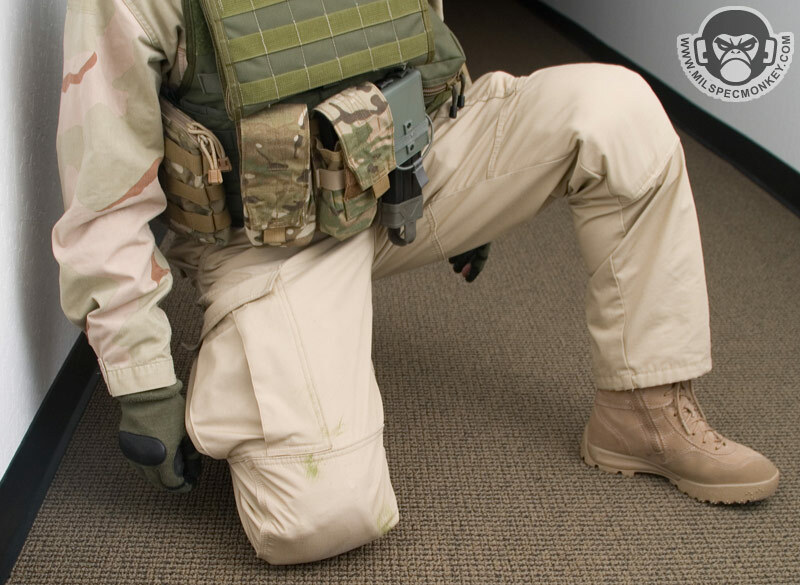 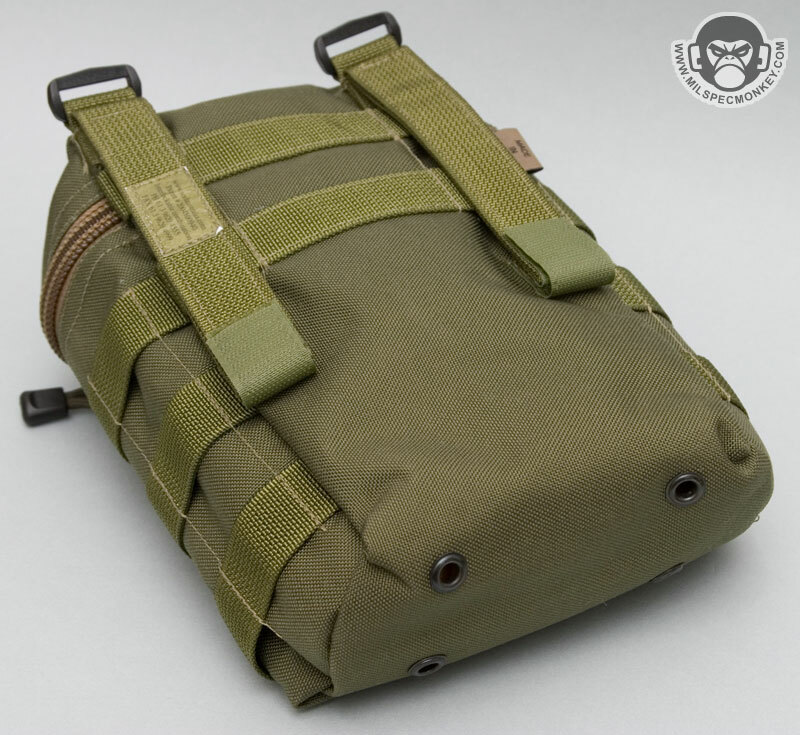 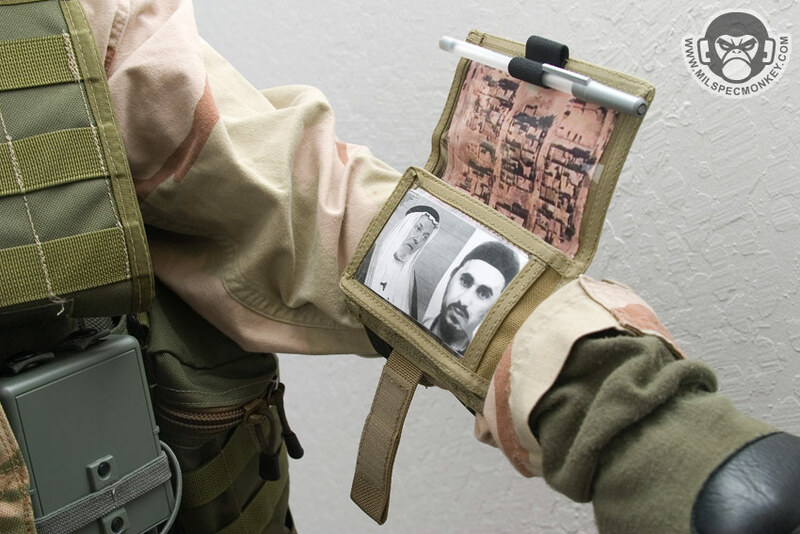 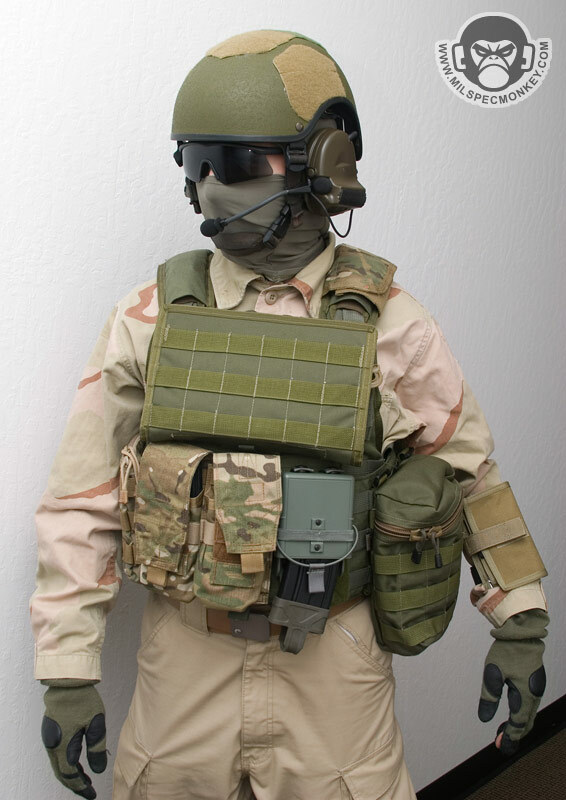 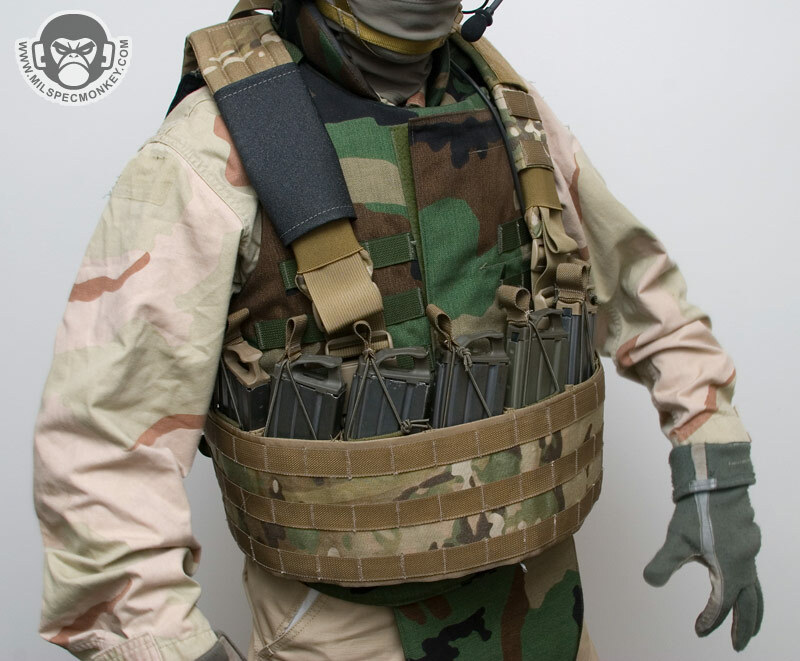 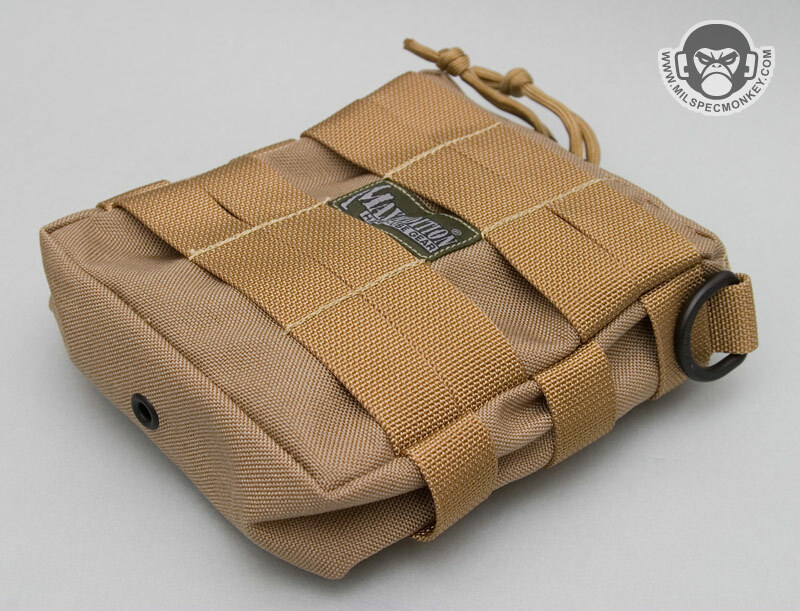 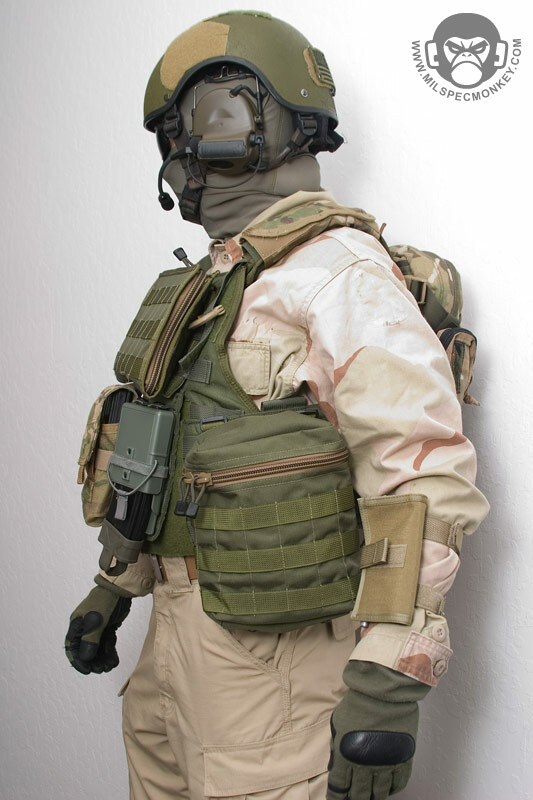 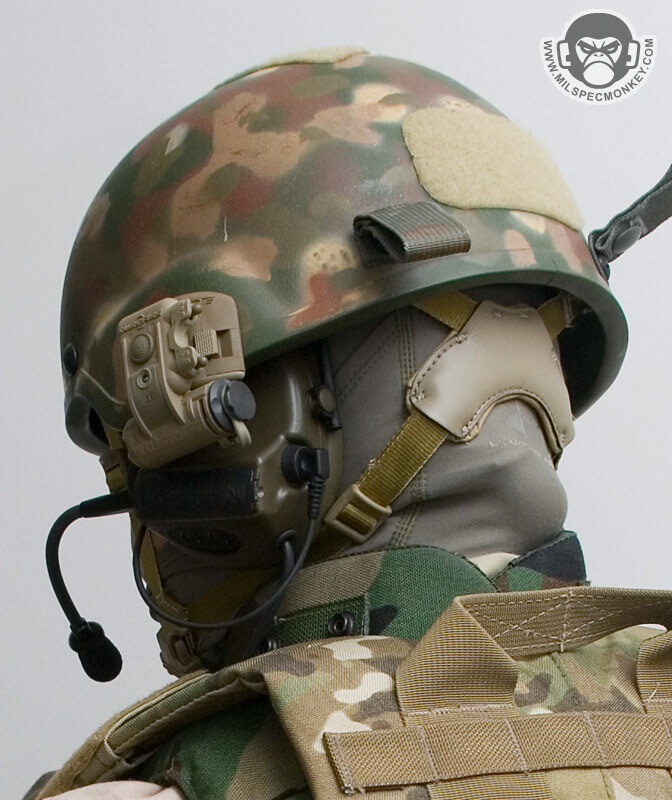 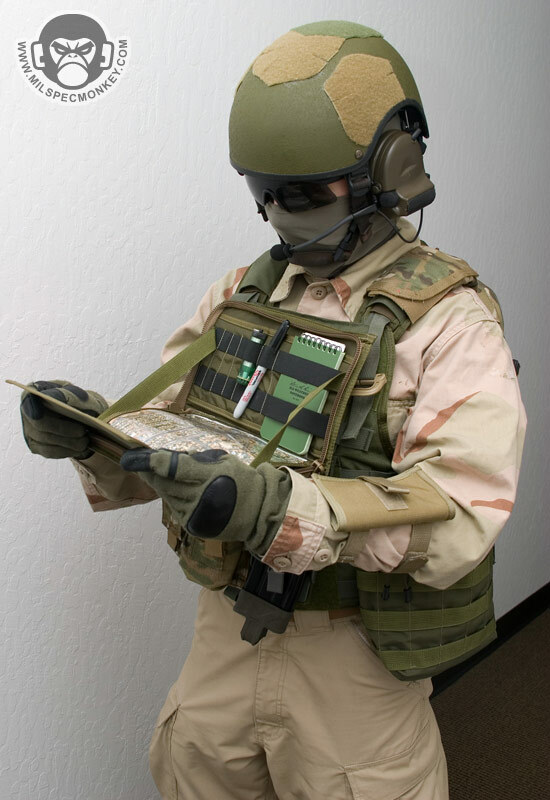 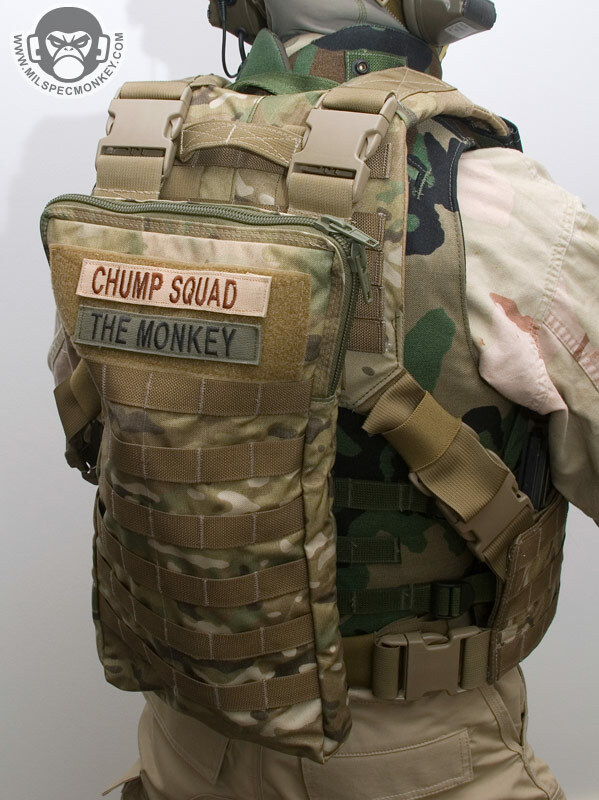 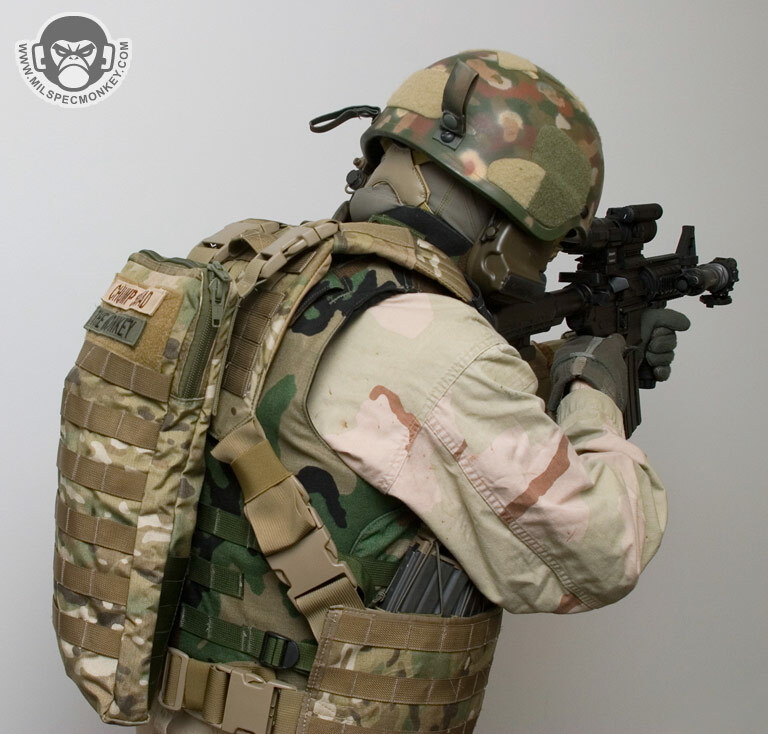 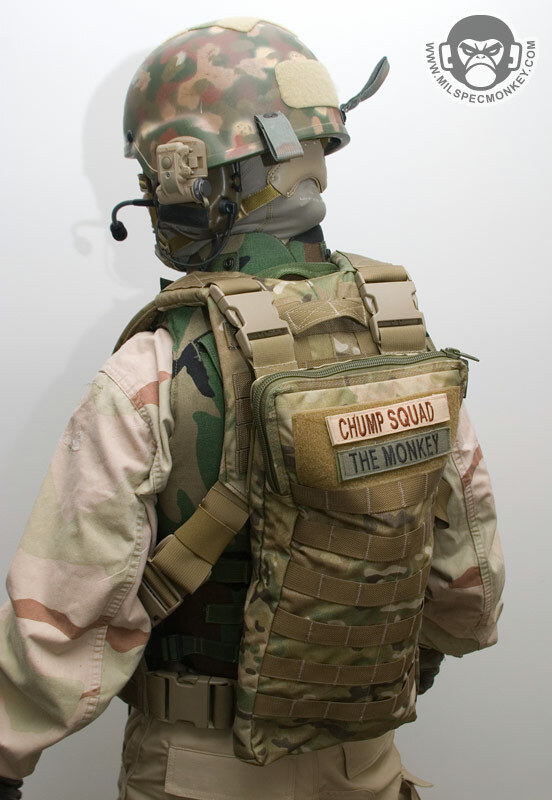 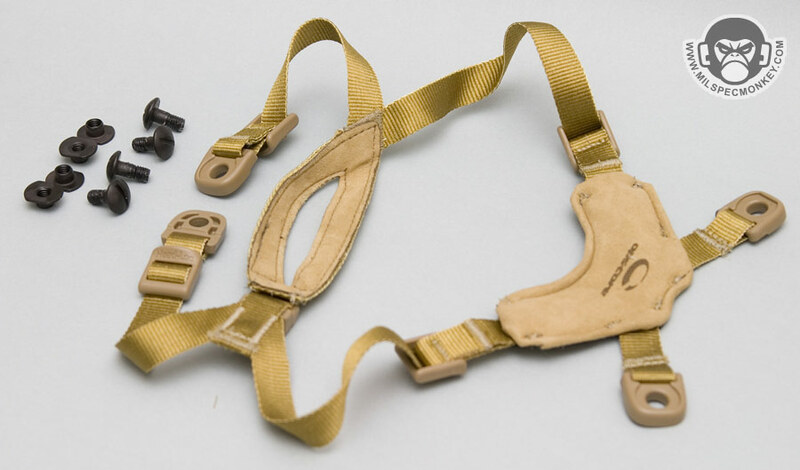 The intention is to mount it on the chest area of you kit, however it can also work well attached to a tactical bag. 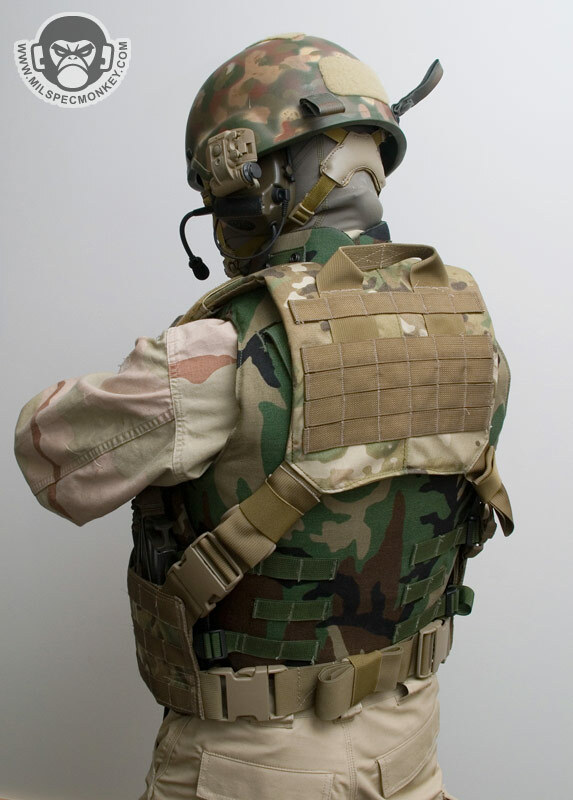 When mounted to the chest, the panel opens to about 100 degrees thus making a great hands-free admin platform. 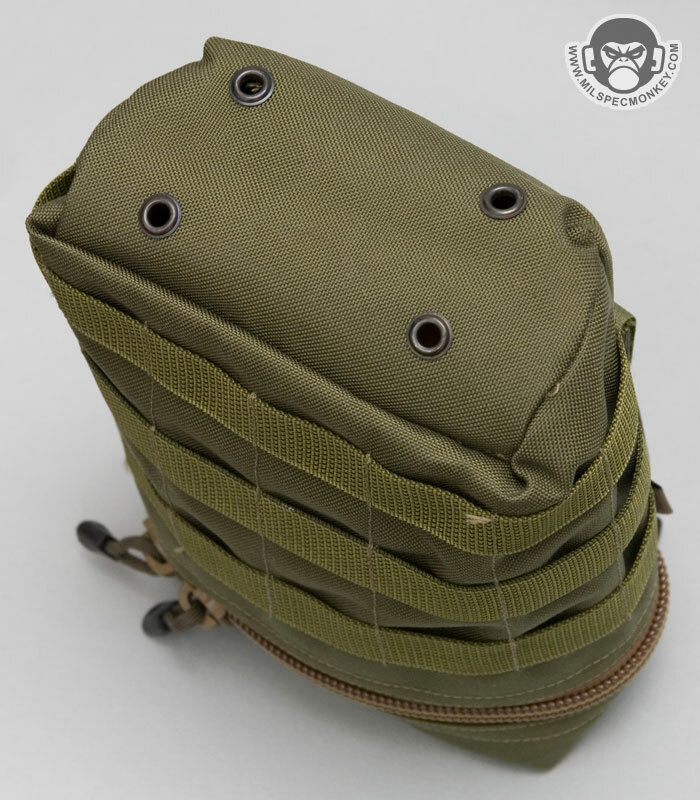 DIM: while folded 5.5" x 3.5" x .5"
main window: 6.125" x 4.75"
small window: 2.25" x 3.5"
DIM: 9" x 6.5" x 3.5"
Although originally designed to hold a complete ADF issue ration pack, I find this to be a great general purpose pouch. 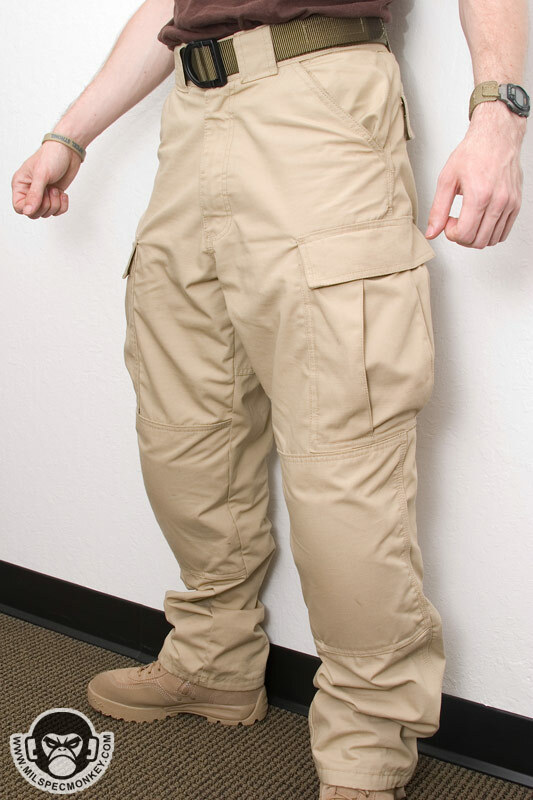 After seeing the design I'm actually surprised I don't see more like it. 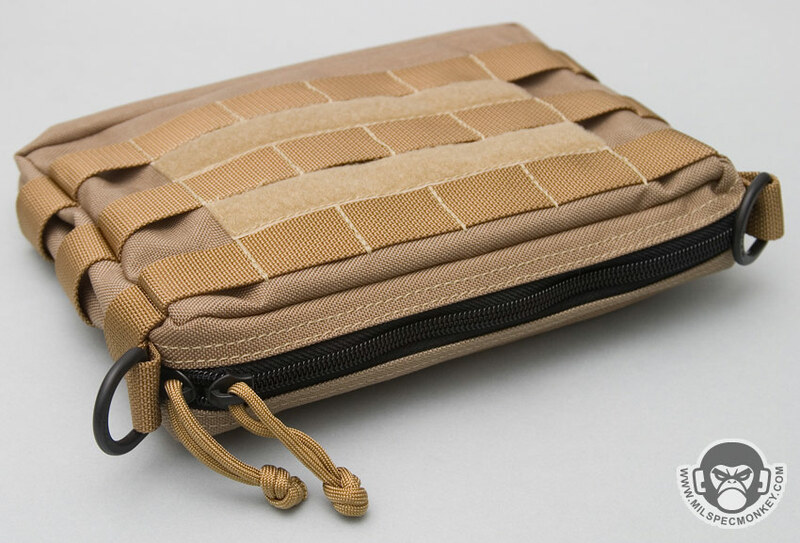 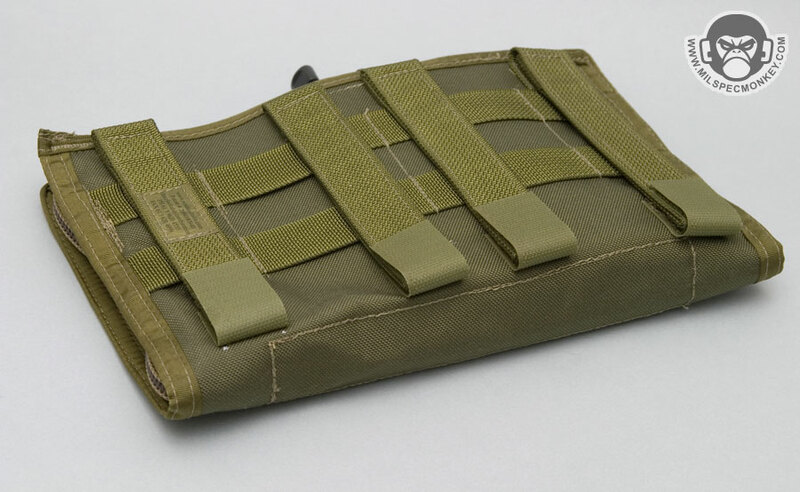 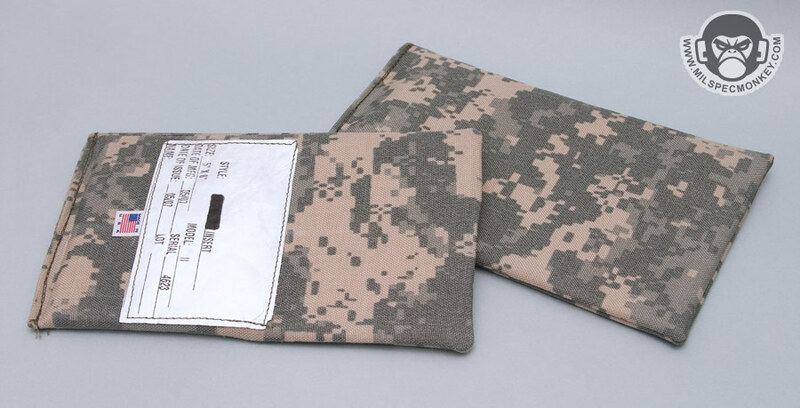 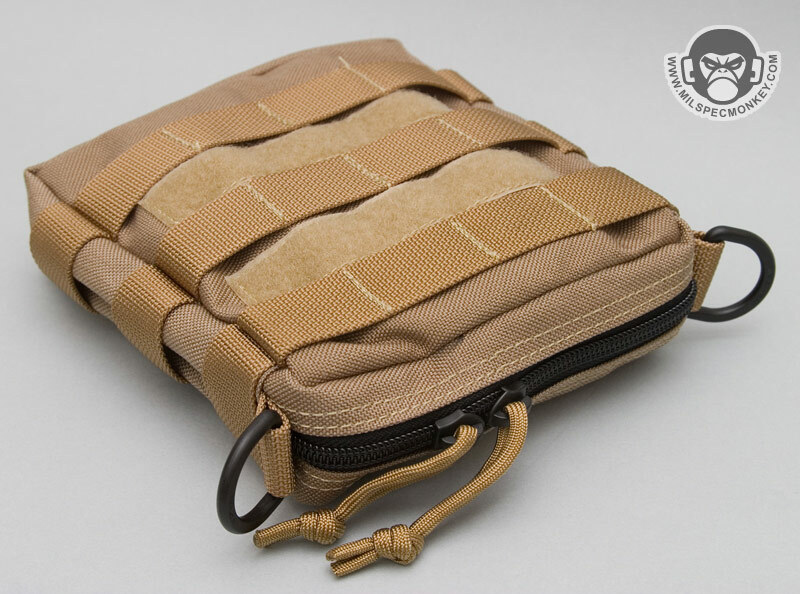 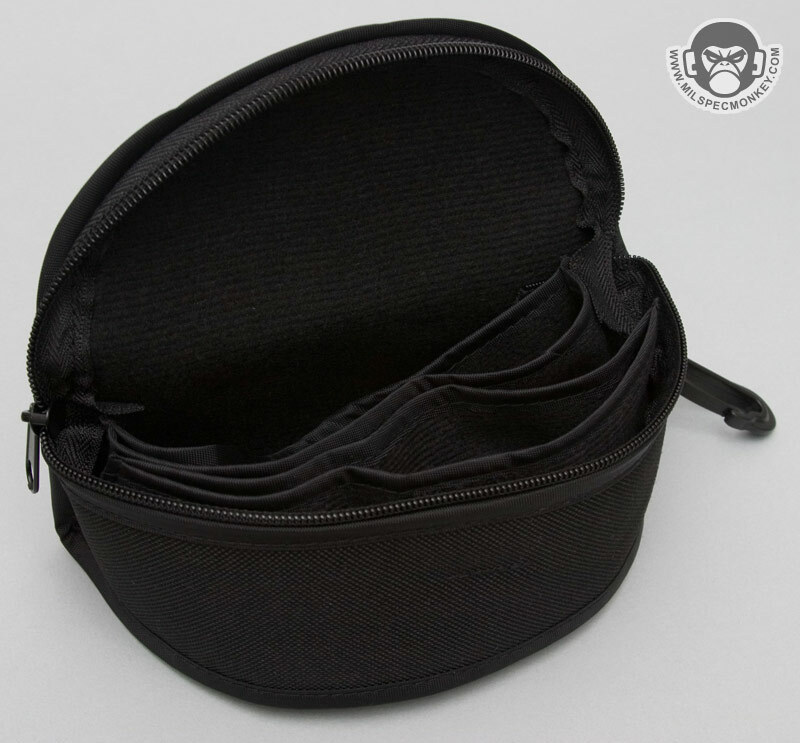 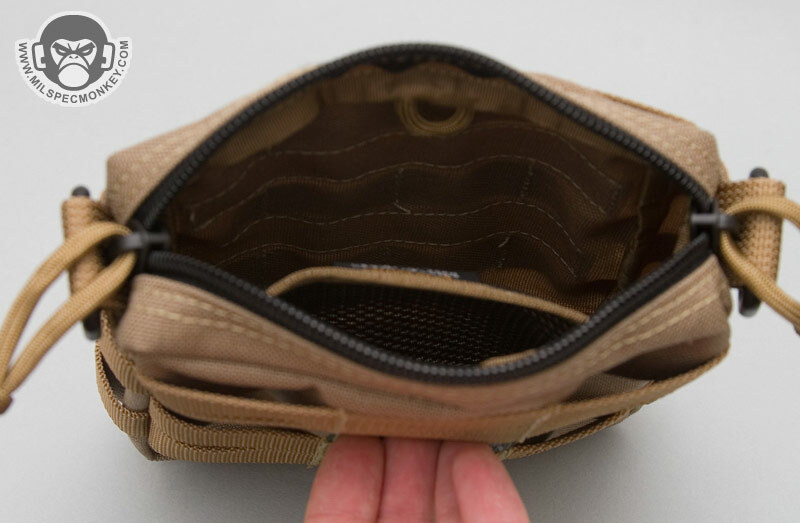 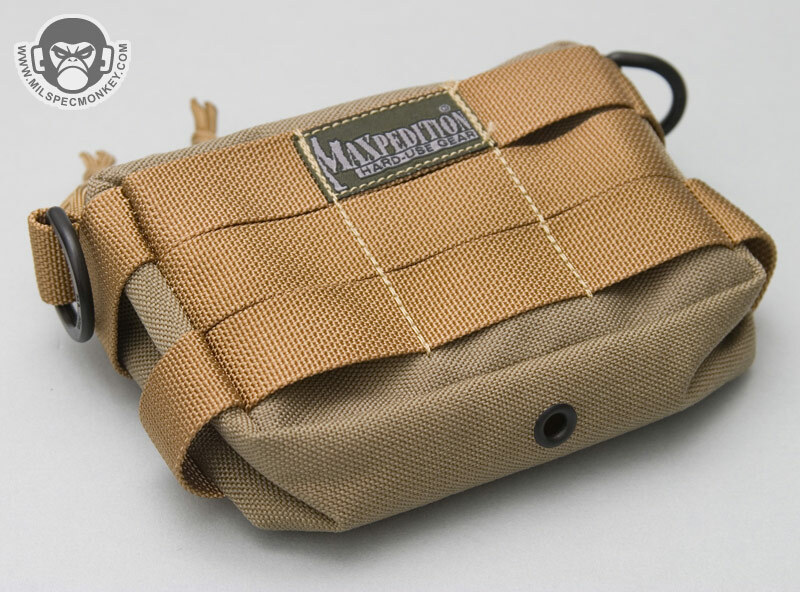 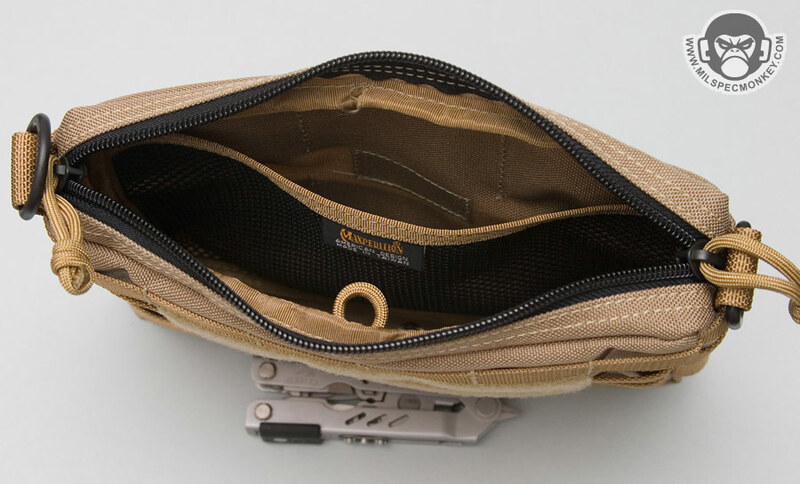 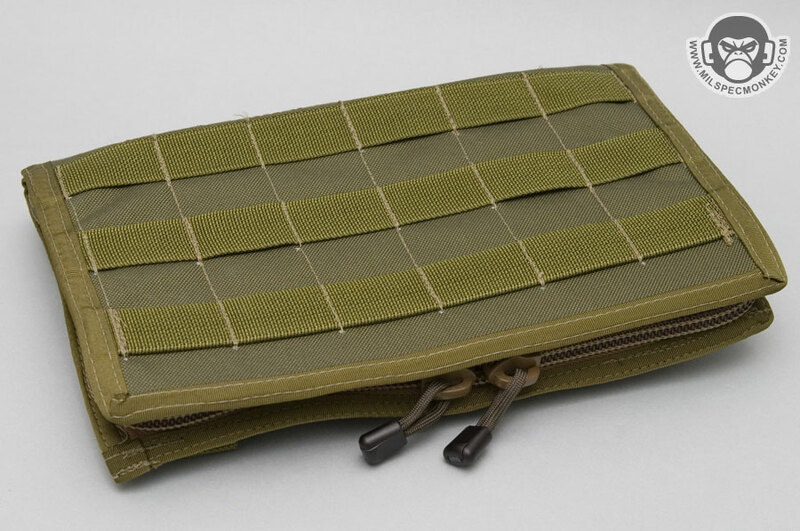 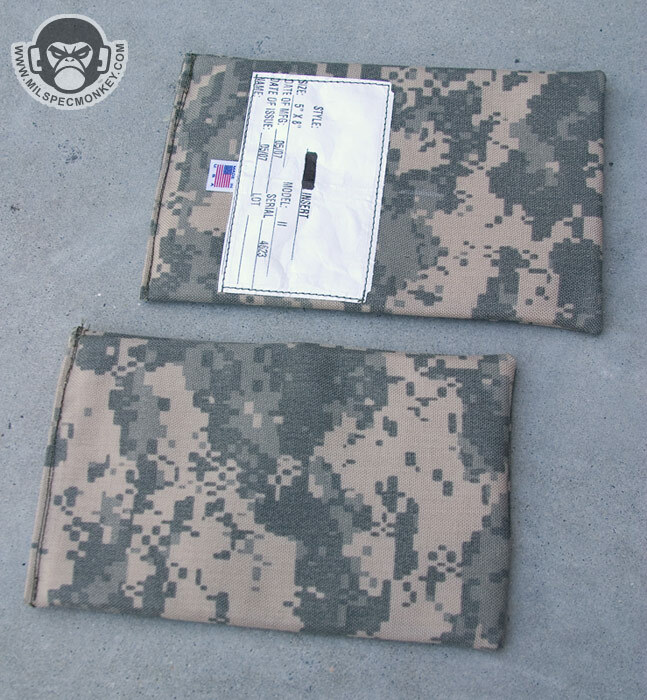 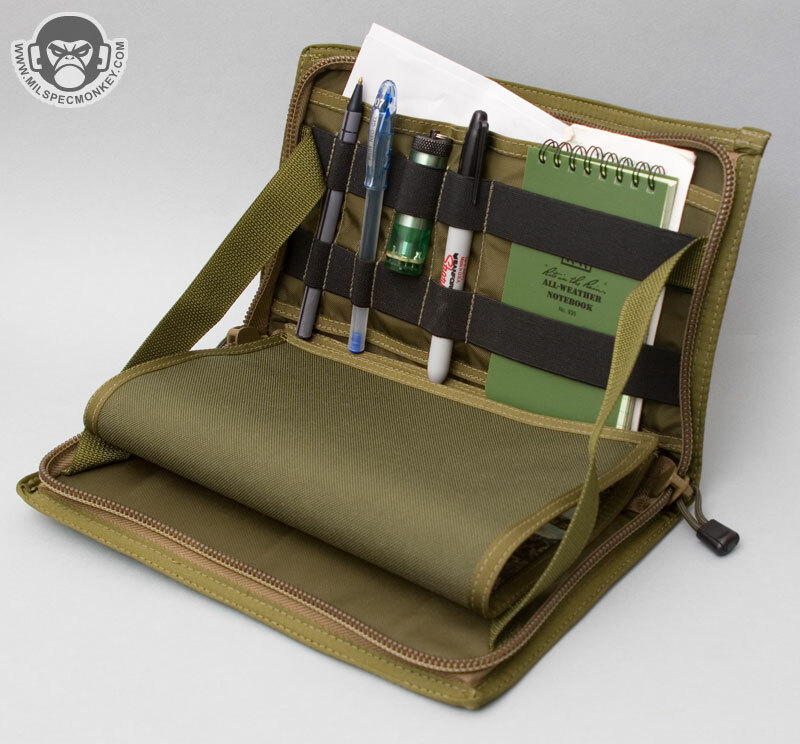 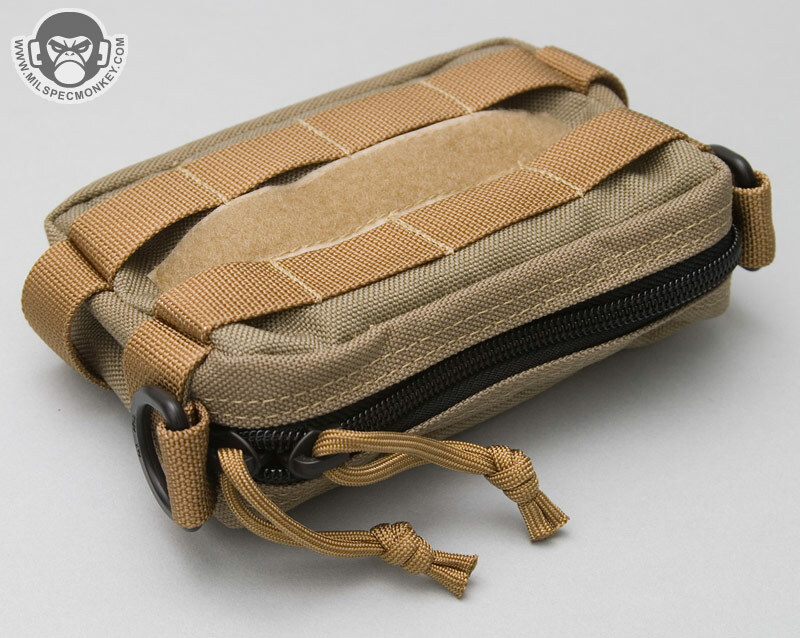 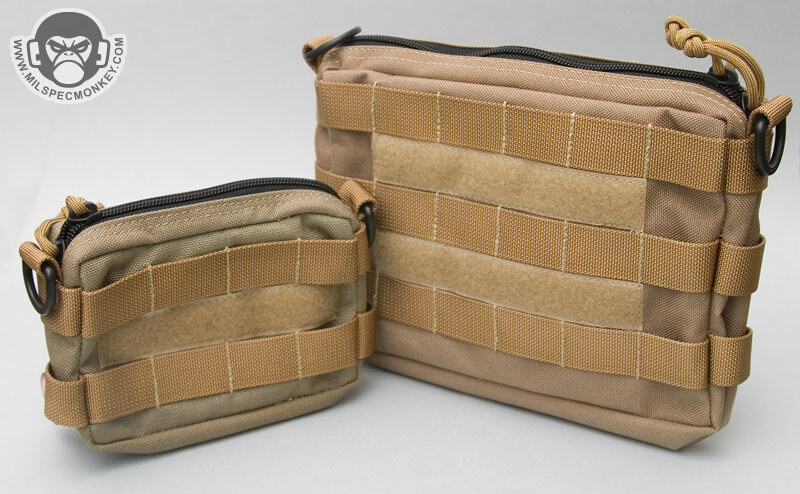 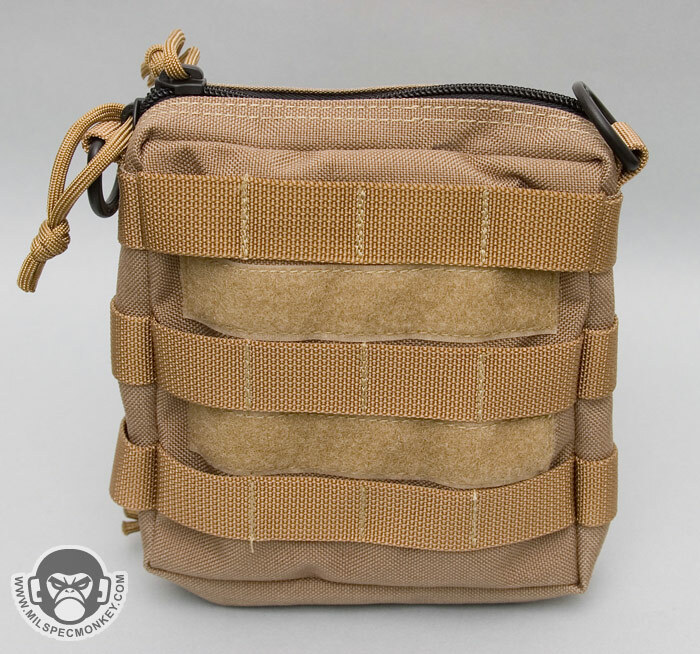 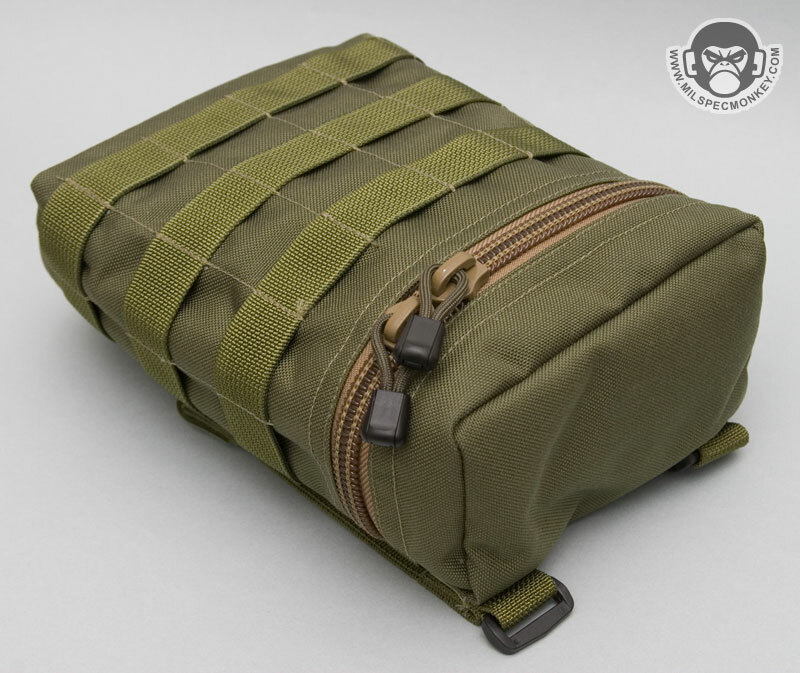 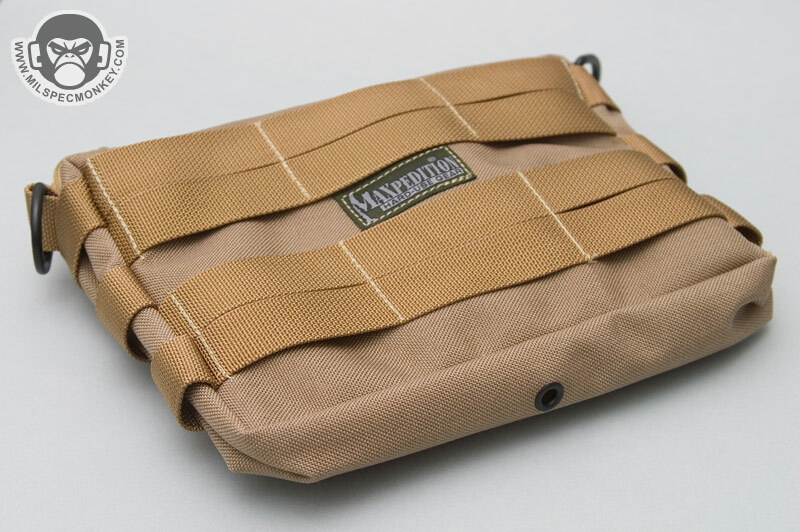 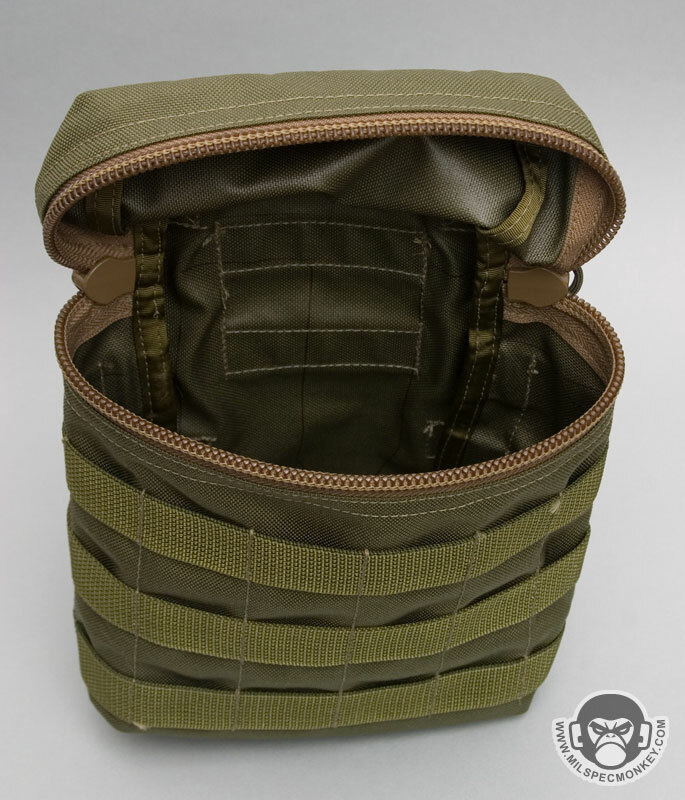 The front zip makes this pouch a lot easier to operate when mounted to one's side, which is usually where GP pouches end up. 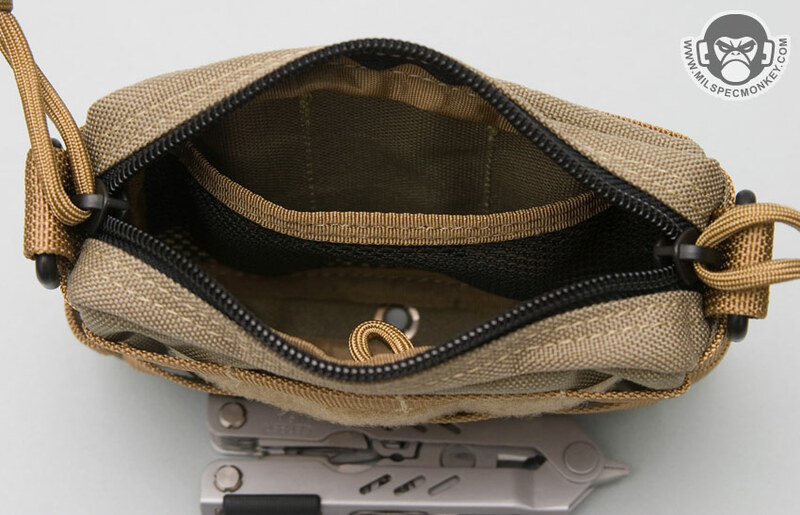 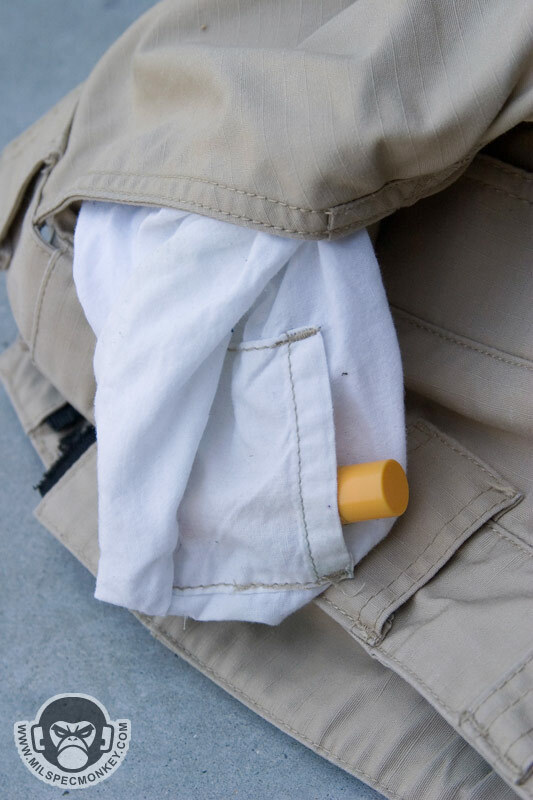 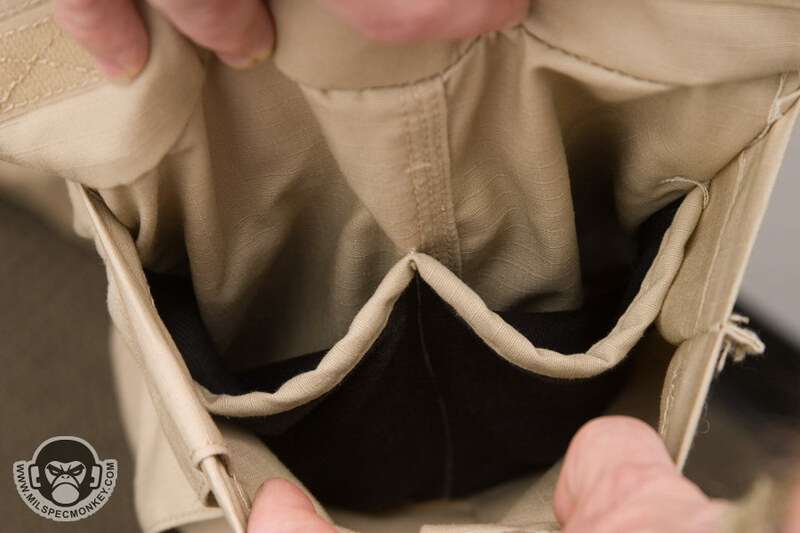 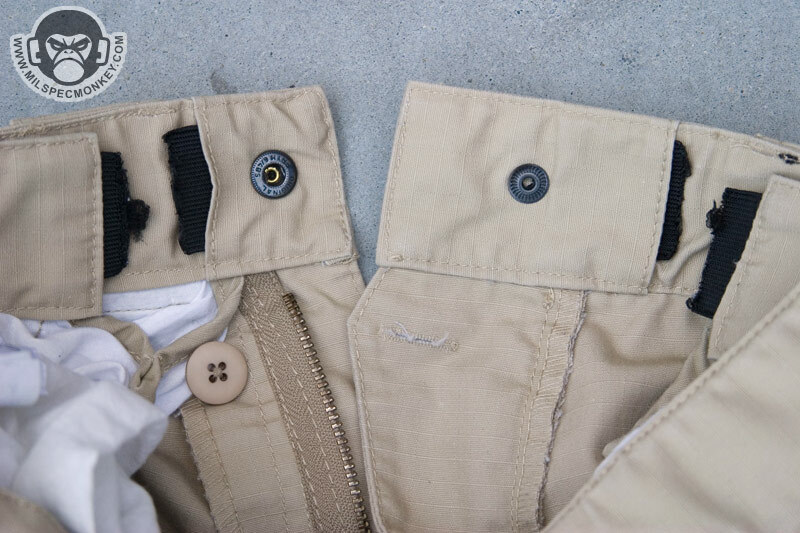 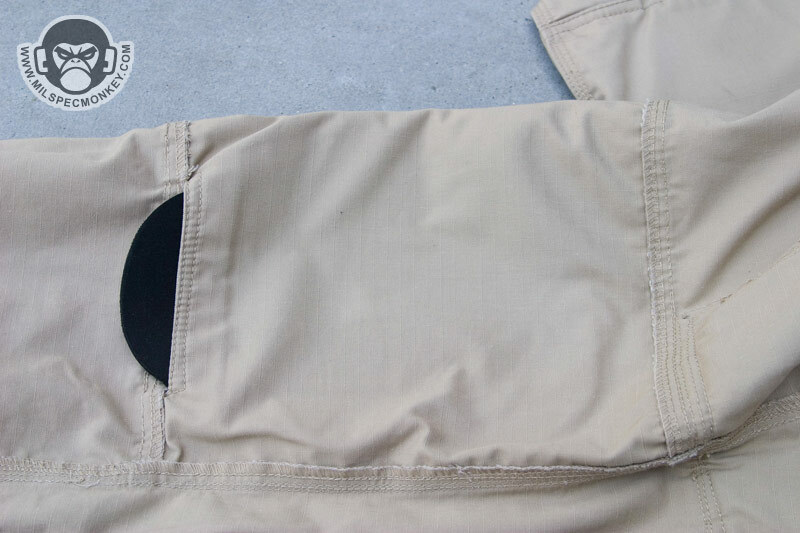 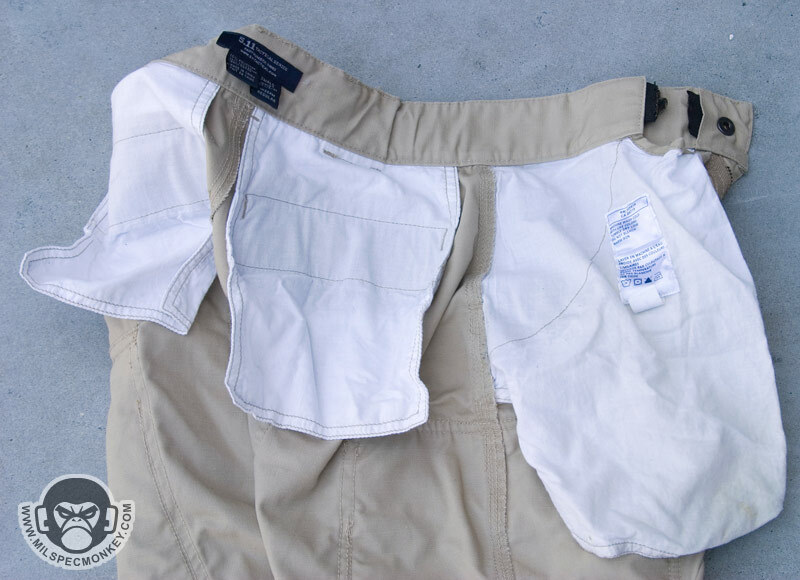 When on the side, the horizontal zipper movement is much more natural than the common top open GP pouches. 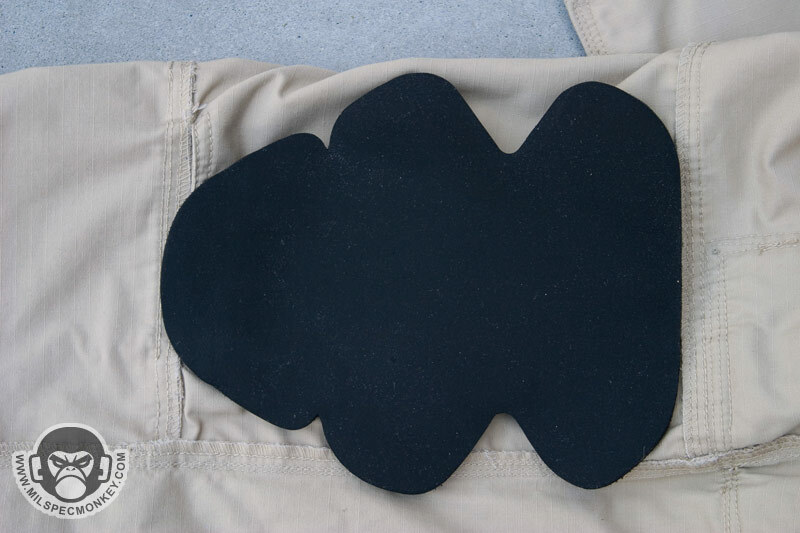 This design also has more of a rounded rectangle shape with a healthy dose of exterior PALS real estate. 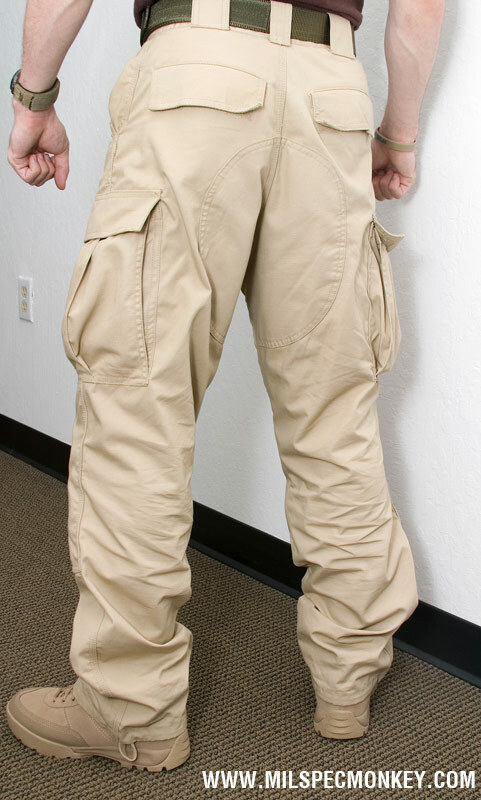 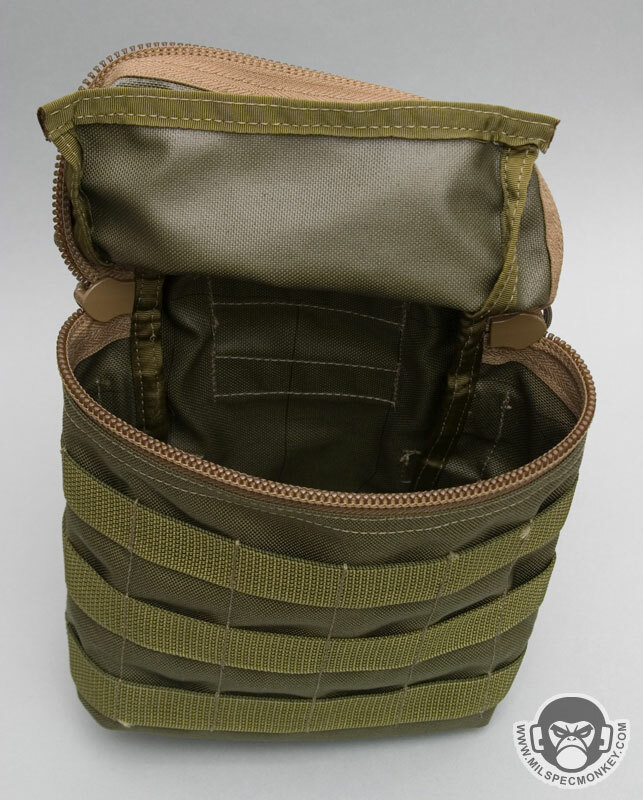 The inside is straight forward, with no loops or elastic. 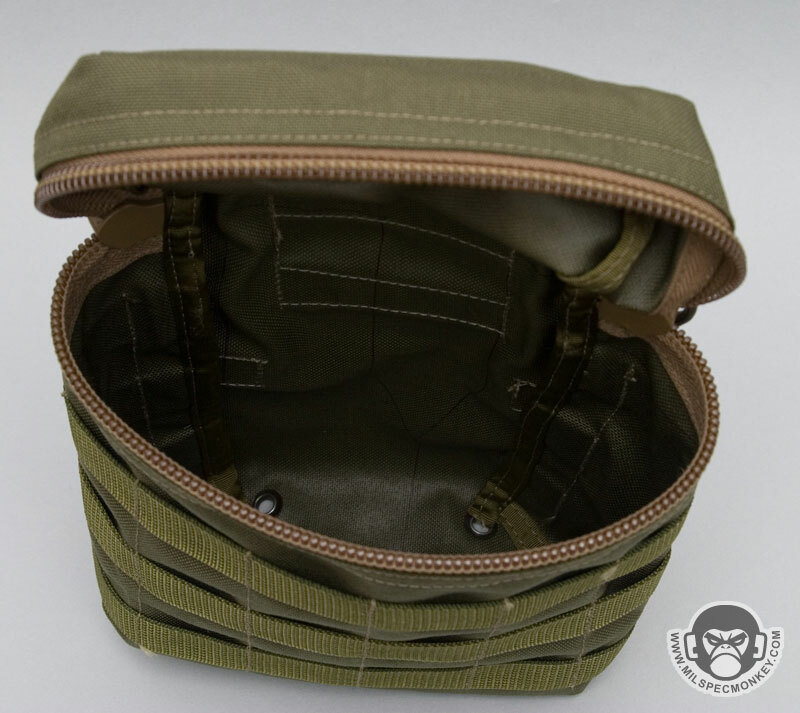 Extra plastic slides have been added to the upper back exterior to allow further mounting options. 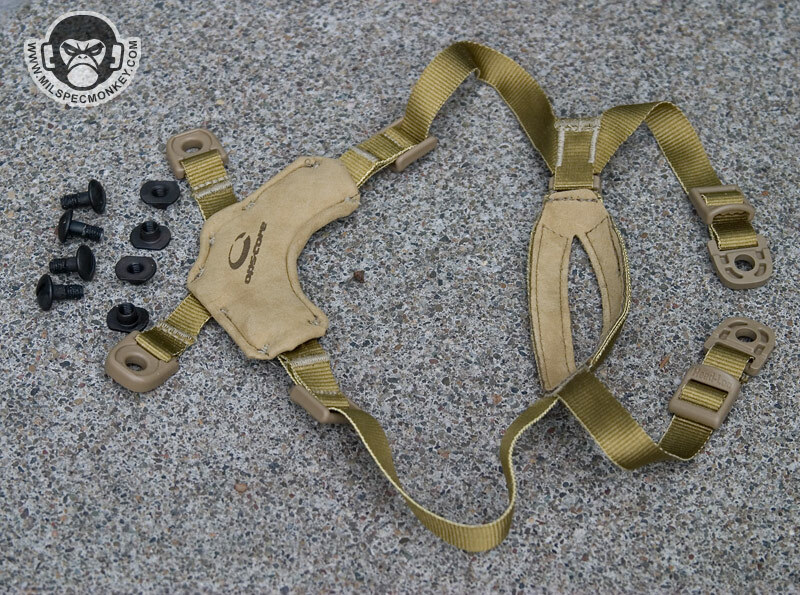 Esstac brings us a sweet chest rig setup with lots of modular pieces to allow your kit to be further customized to your needs. 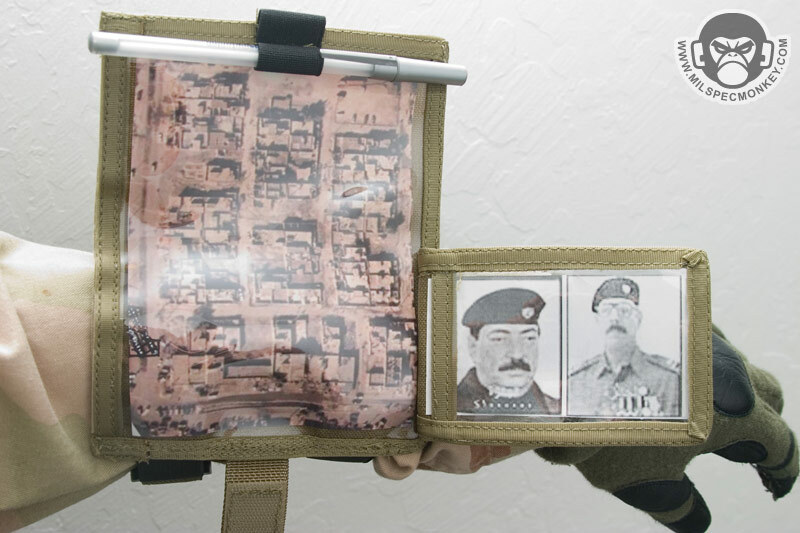 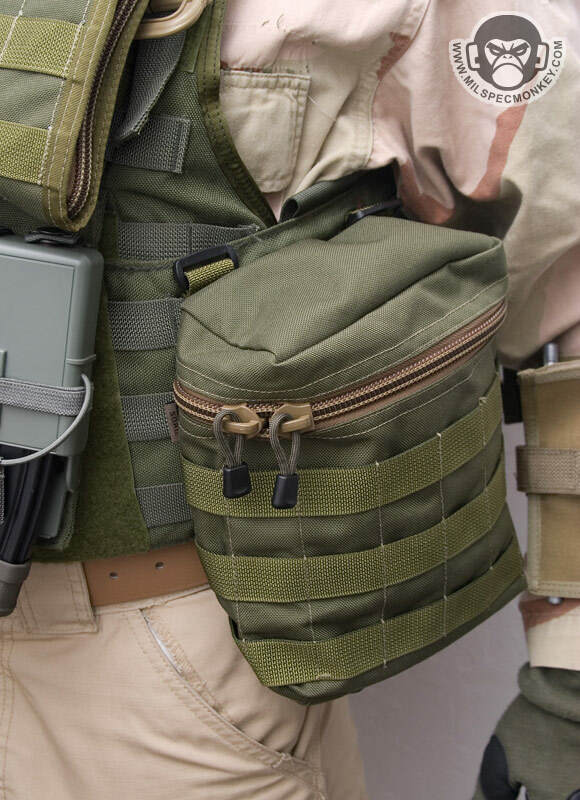 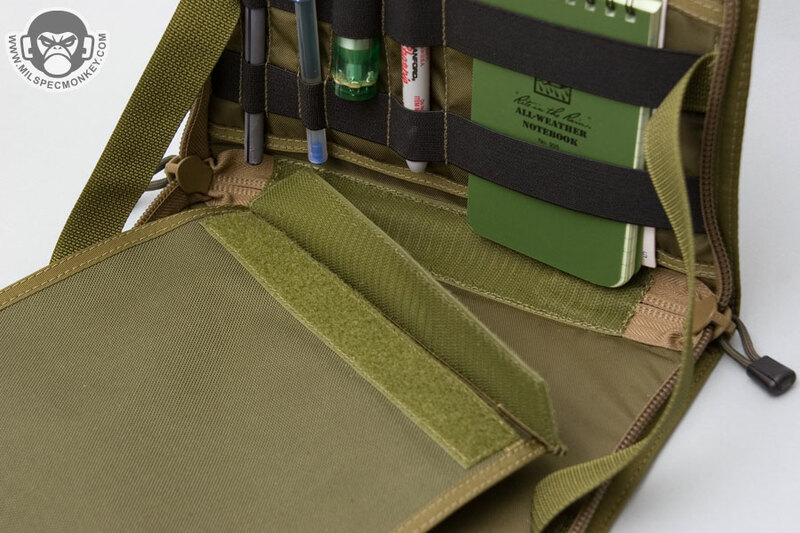 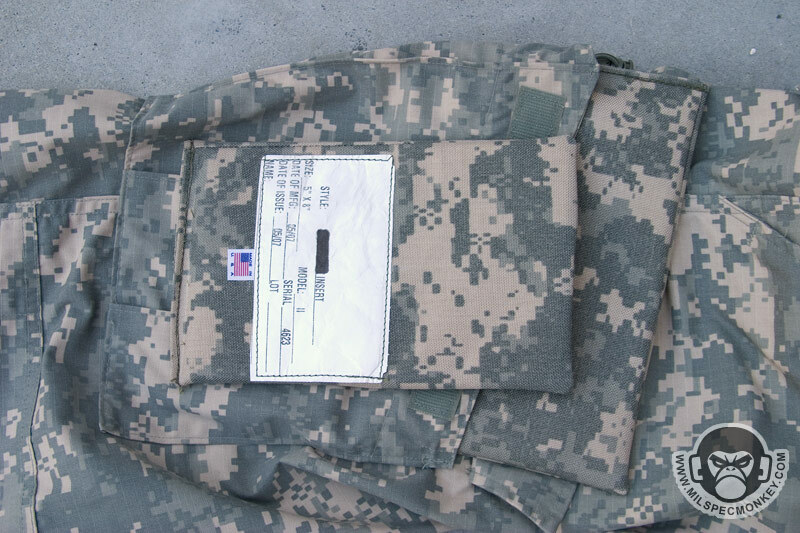 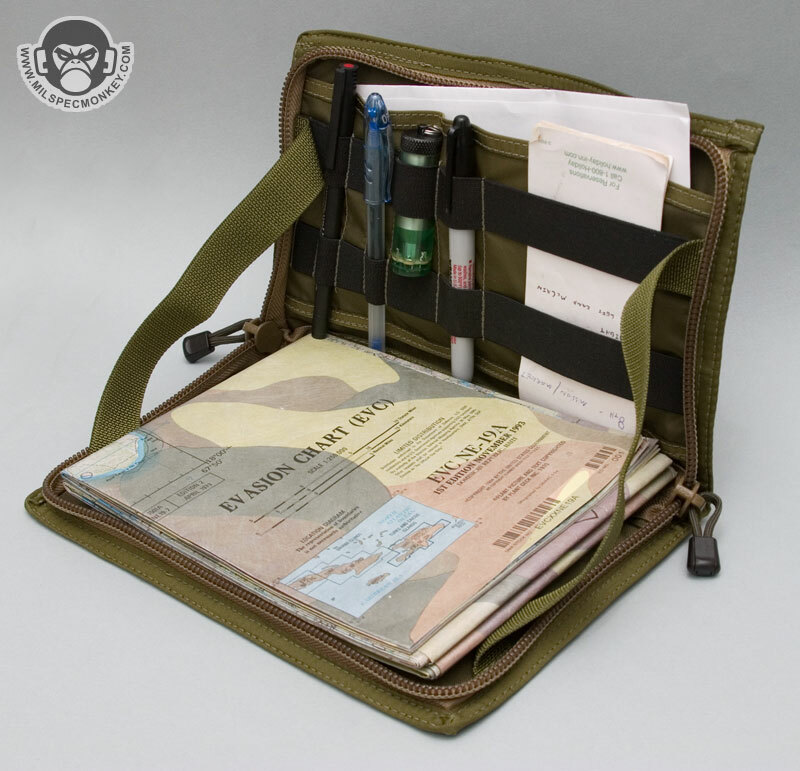 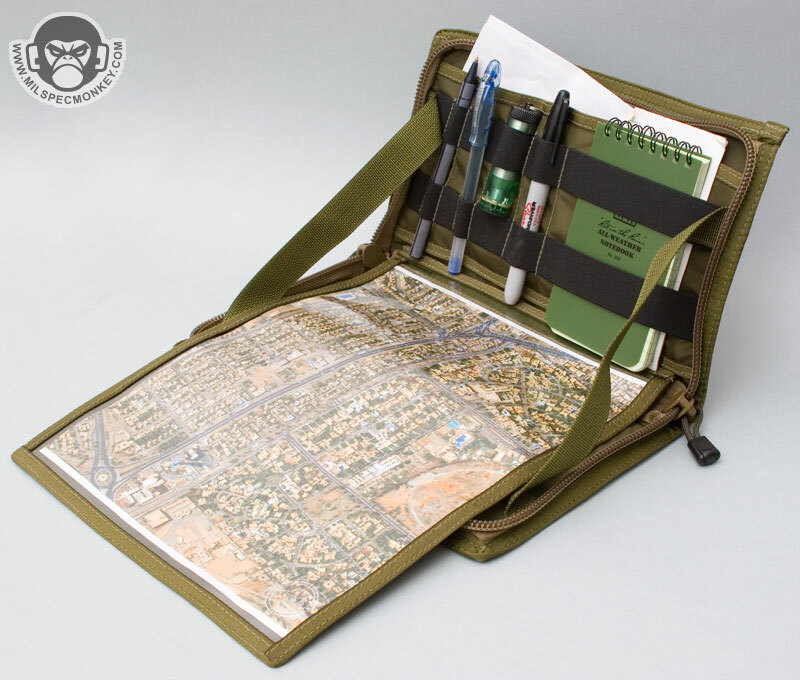 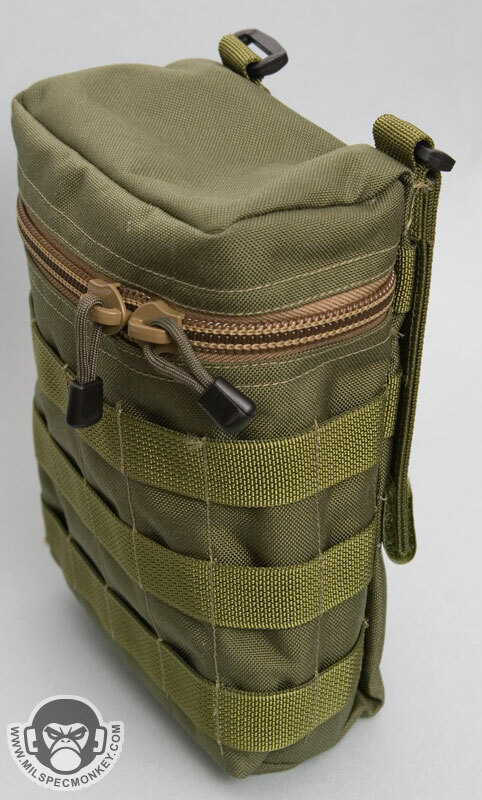 Main functionality is that it holds 8, 30 round NATO magazines with bungee cord retention setup. 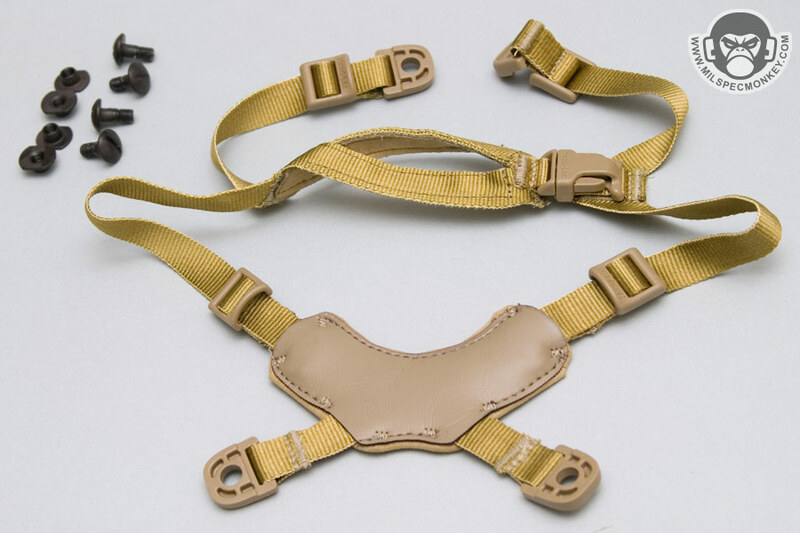 Classic webbing straps are standard and I am showing the optional padded straps and back panel kit. 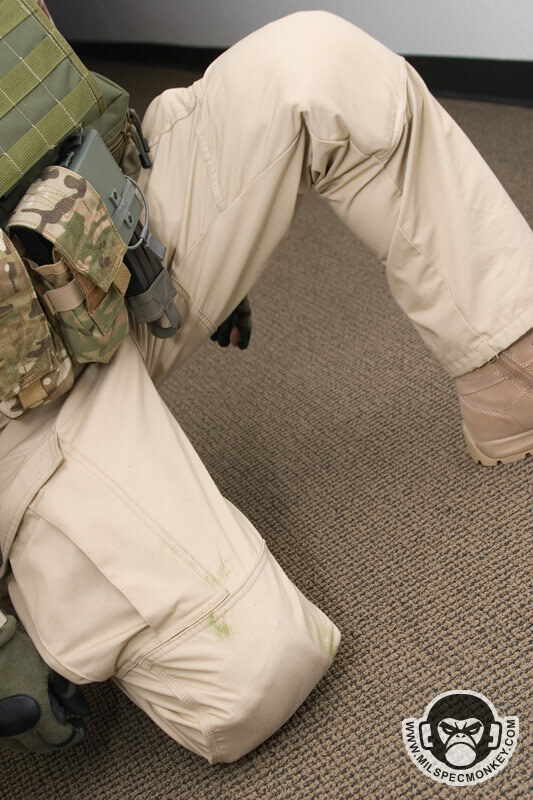 I showed this a while back in my shotshow footage, but now I finally got around to showing some up-close pics. 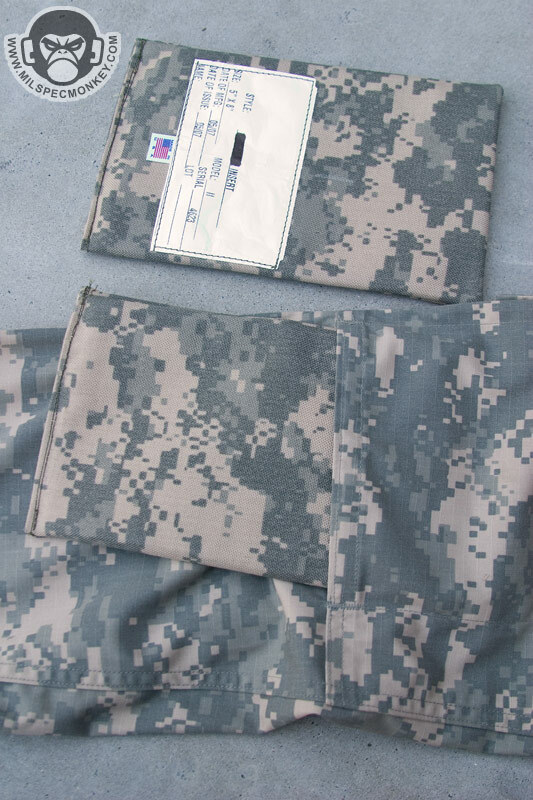 This is the business right here, the differences are immediately noticable. 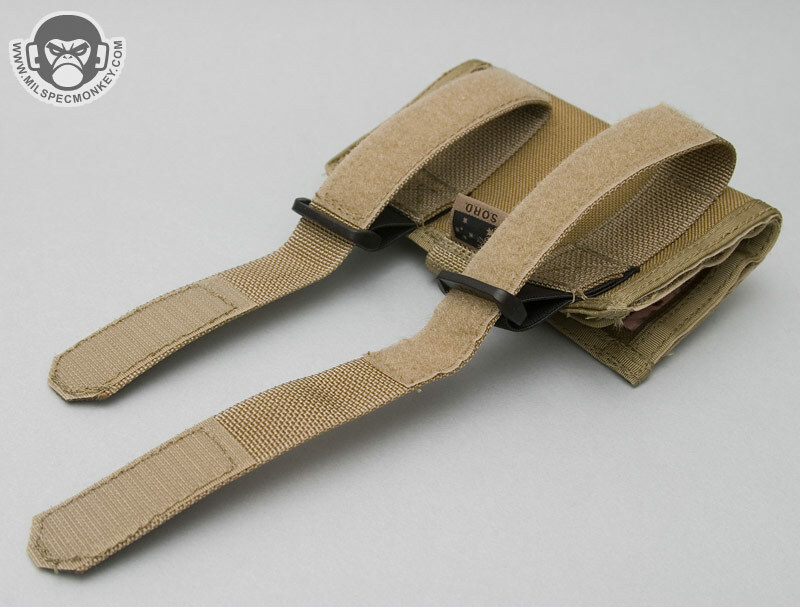 Due to the custom plastic hardware and connection design this strap is very easy to adjust while still on your head. 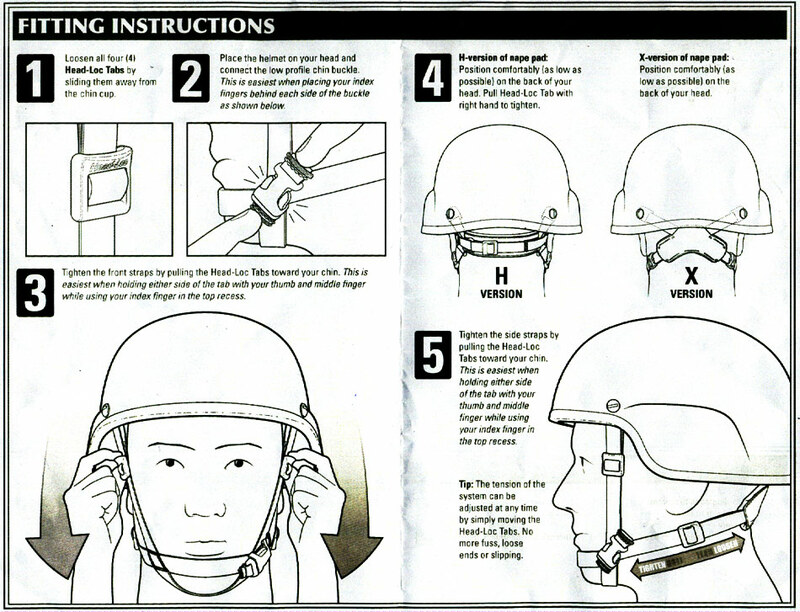 Up and away is to losen, Down and toward is to tighten, very intuitive. 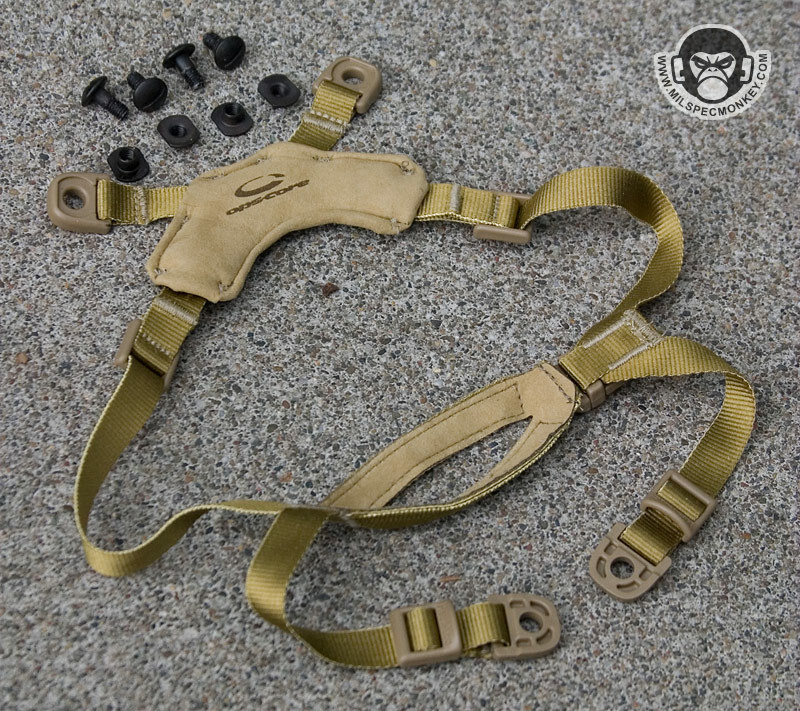 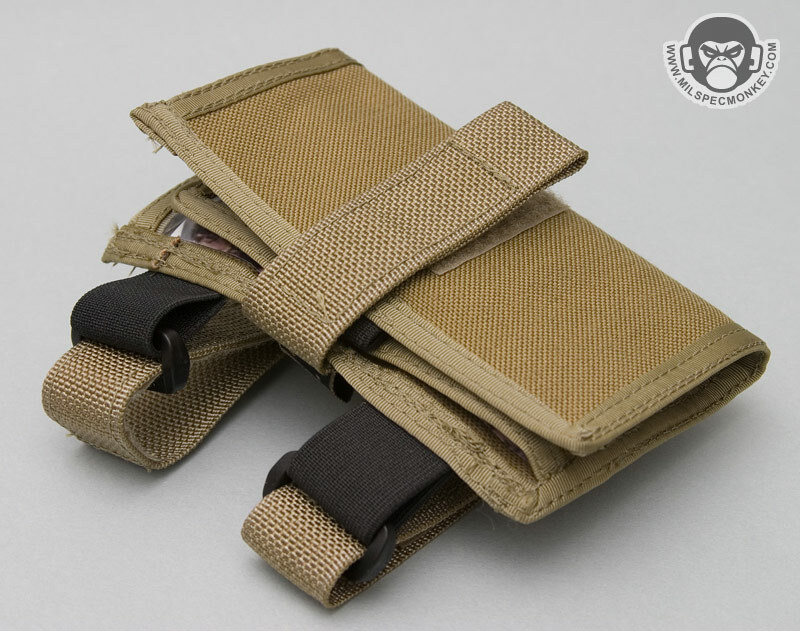 The standard MICH strap, on the other hand, pretty much only allows tightening while on and it isn't that easy to do the back straps. 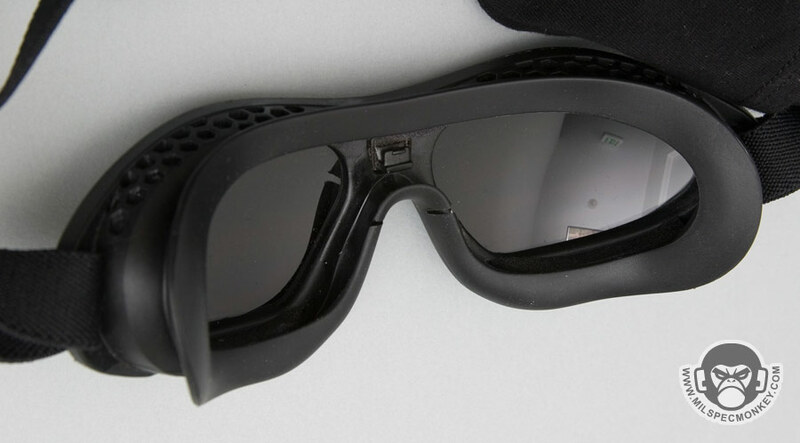 For those who want a mid point between glasses and goggles, Revision made these. 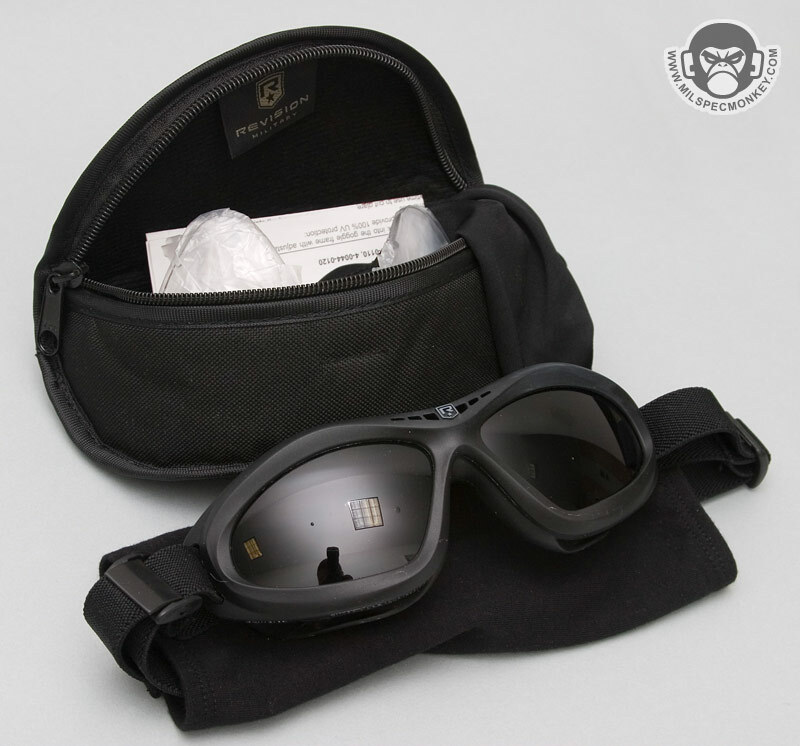 The kit comes with a nice pack of instructions, lenses, dust sock, and of course the carry case itself. 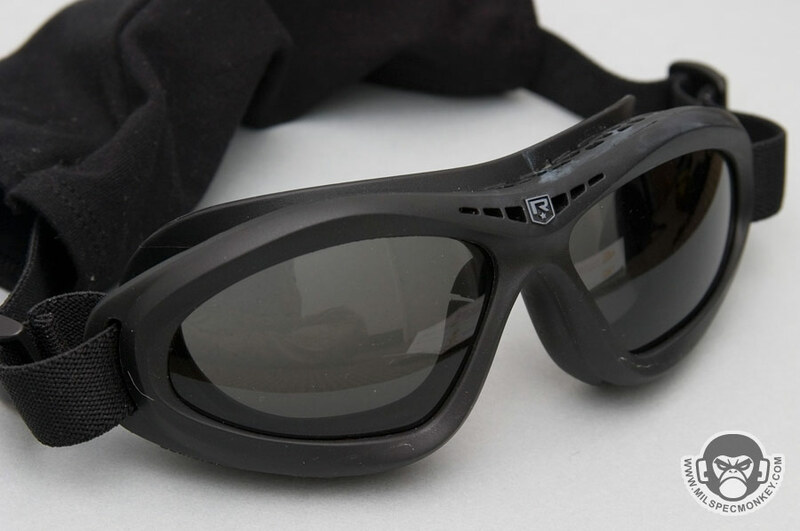 Durability specs are up to par with Revision's usual beyond compliance of military ballistic goggles with no lens distortion. 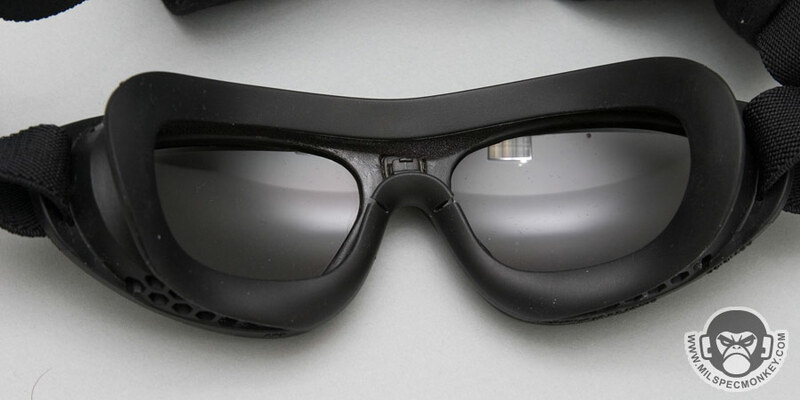 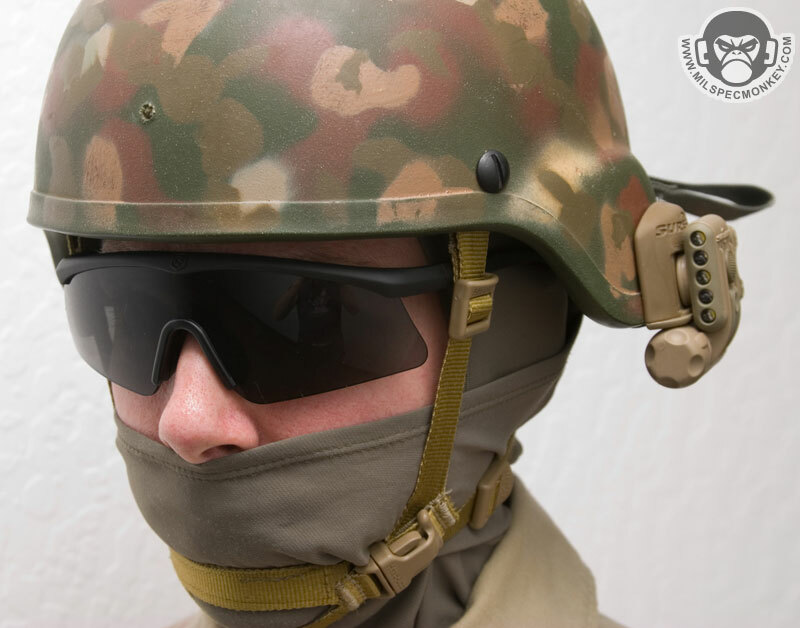 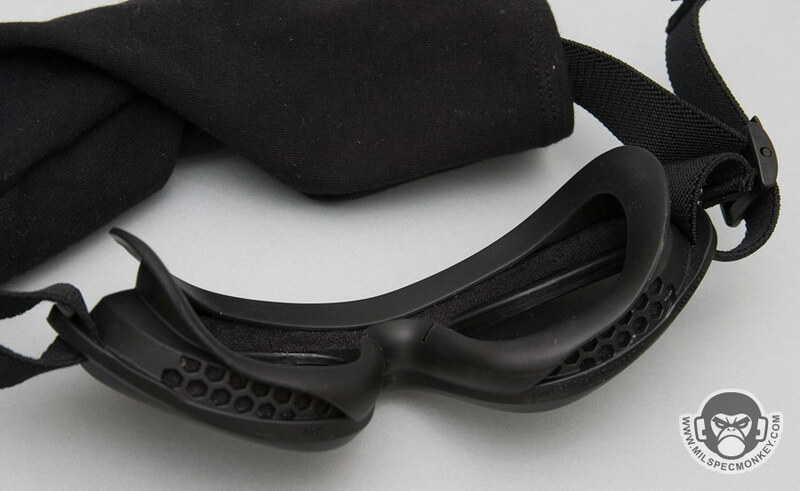 Although vision is good for this style of goggle, a lot of peripheral vision is lost compared to 1 lens style goggles like the Desert Locust. 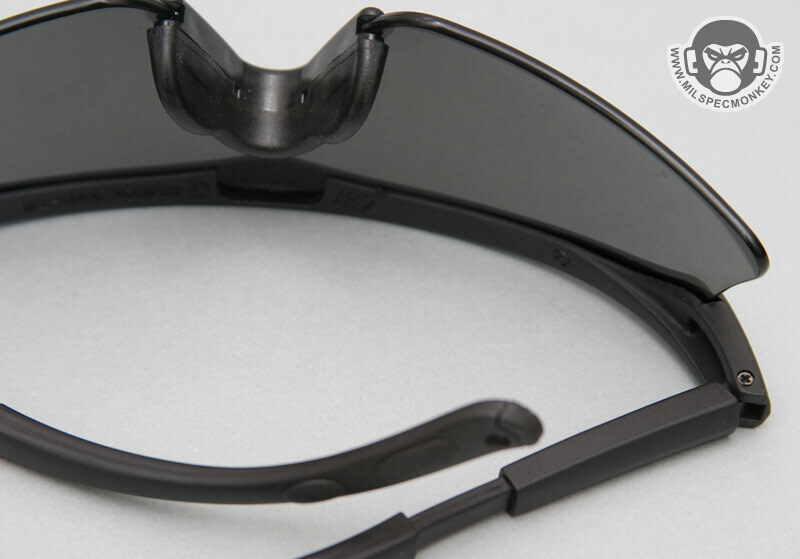 Prescription inserts are available using Revision's clip in system. 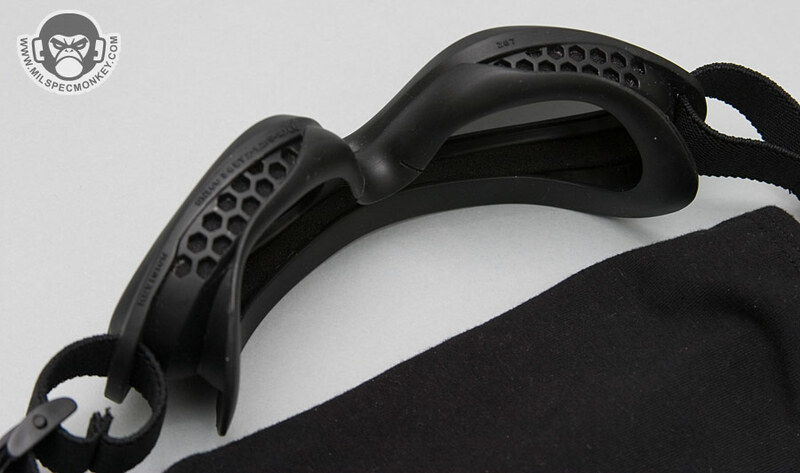 The Bullet Ants generally feel good on my face, but were very prone to fogging on my tests so far. 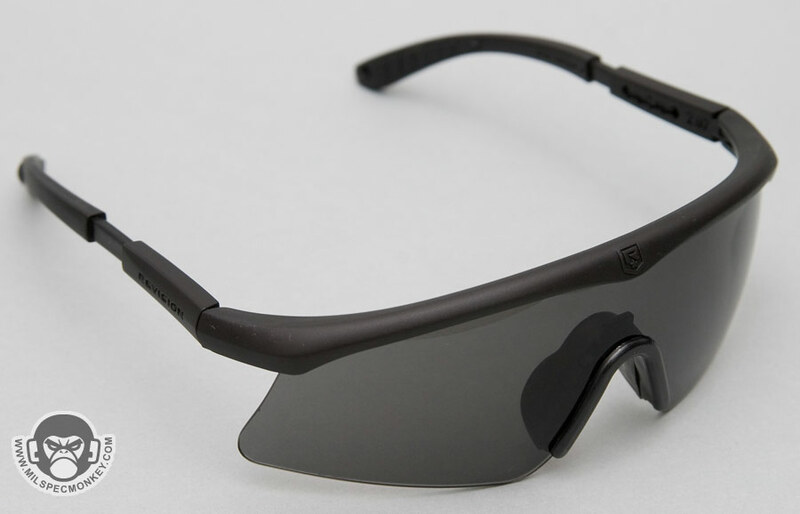 The Sawfly Glasses aren't exactly new, but that doesn't make them any less great. 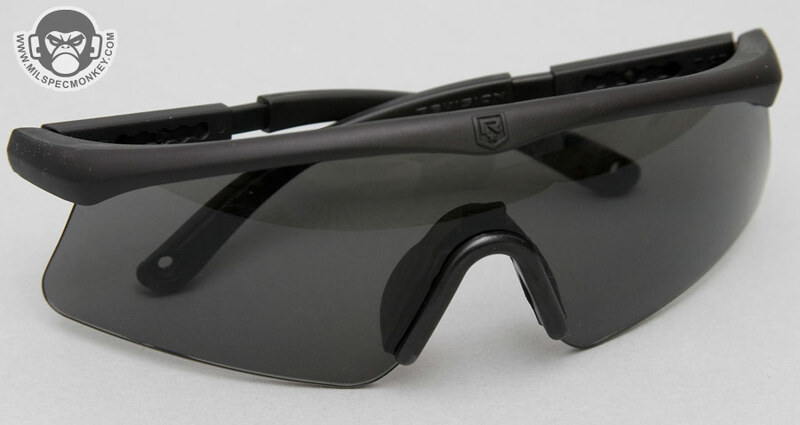 They meet and exceed all the Military ballistic requirements and thus have become US military approved eye-pro. 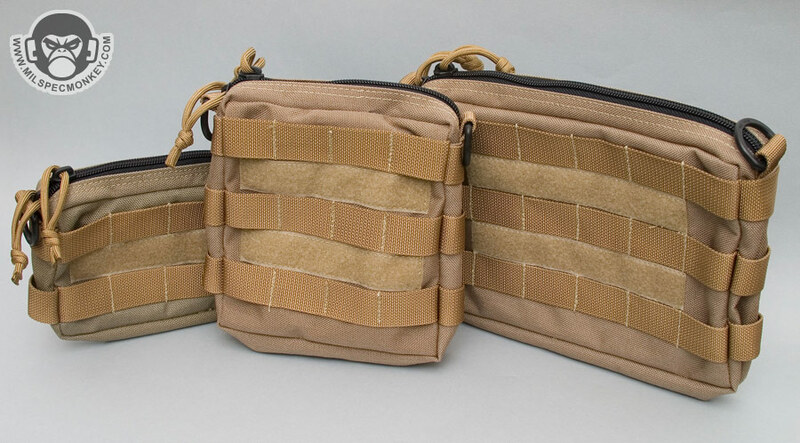 I display here which appears to be the "Deluxe" Kit with a Soft carry case. 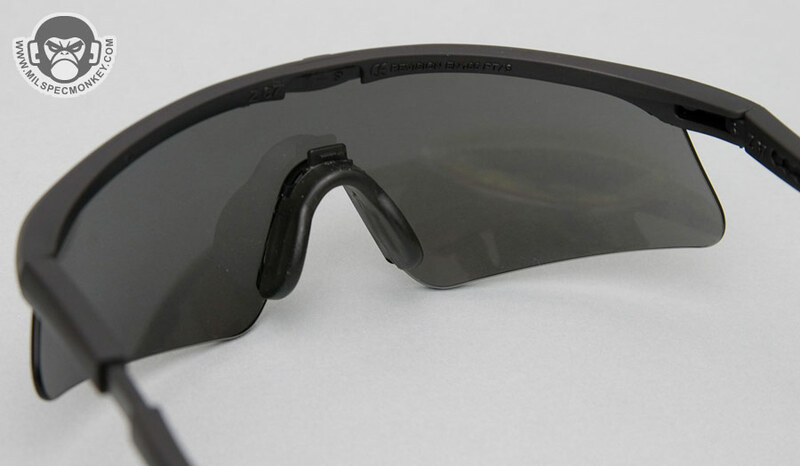 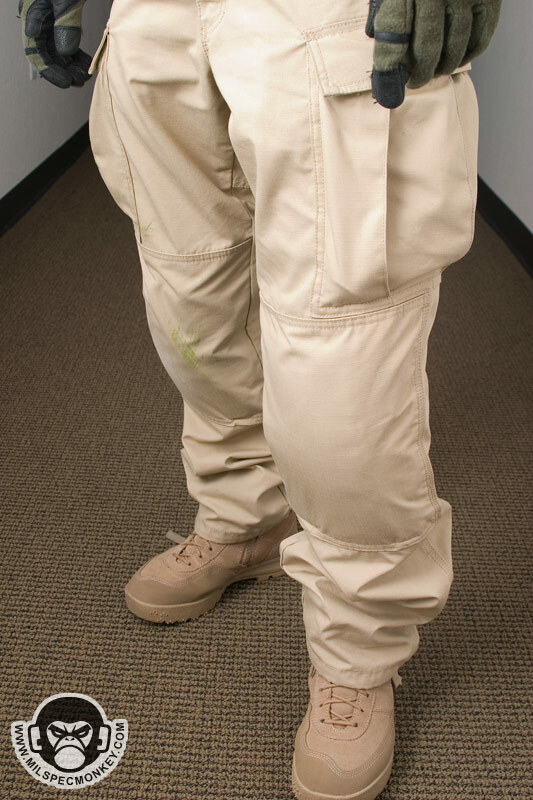 The frame part is semi-flexible with adjustable arms. 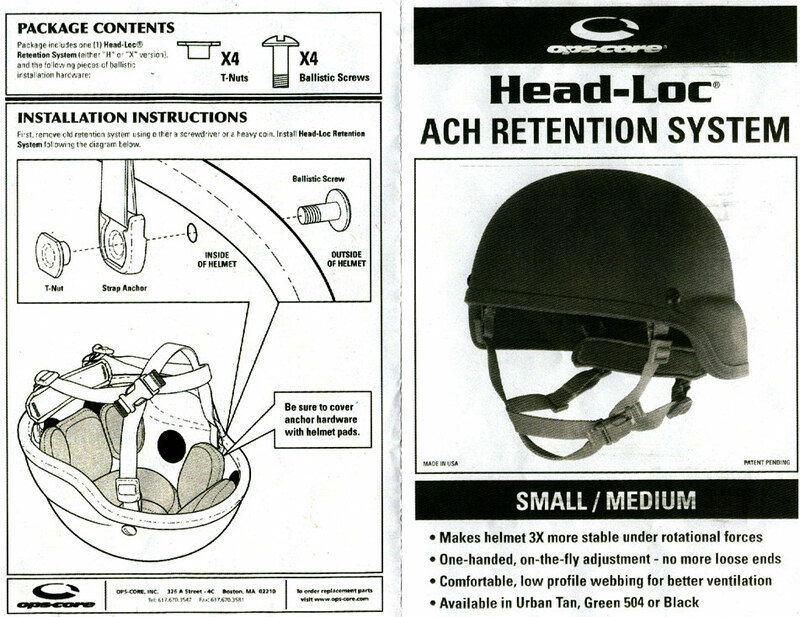 The arms have 5 positions which allow adjustability to most heads.